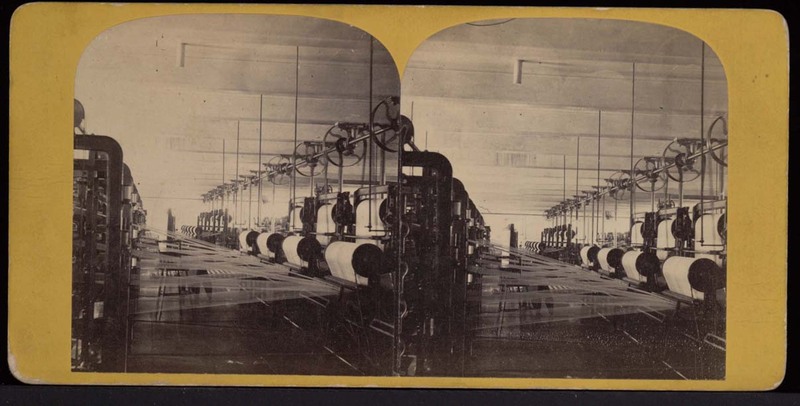 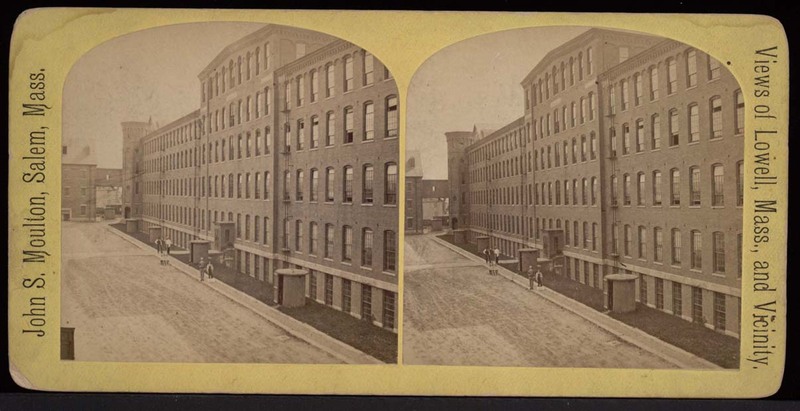 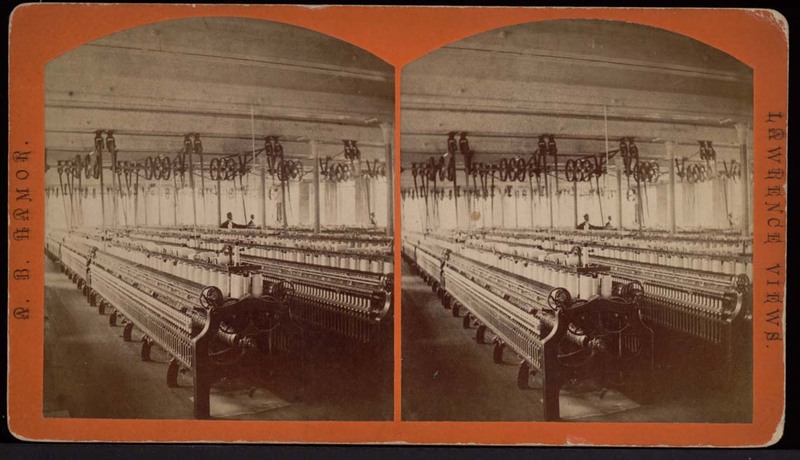 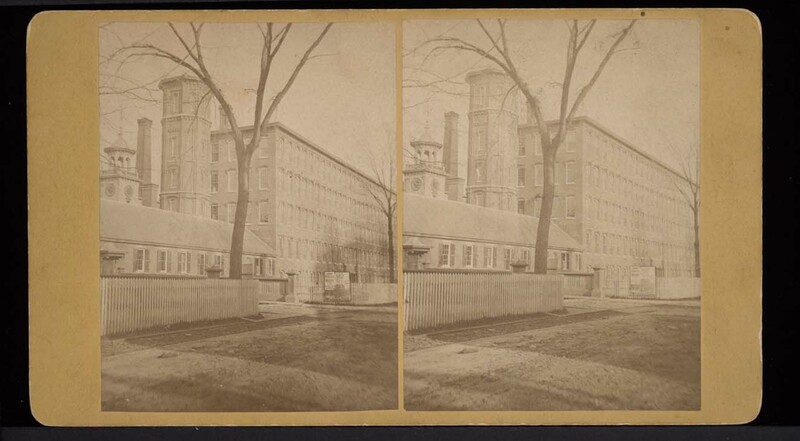 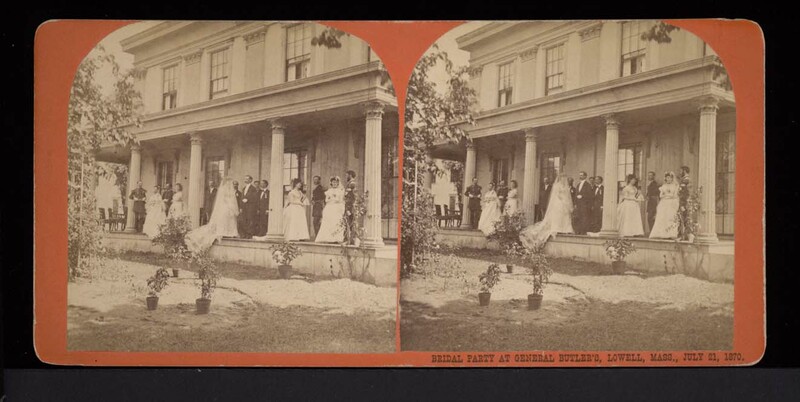 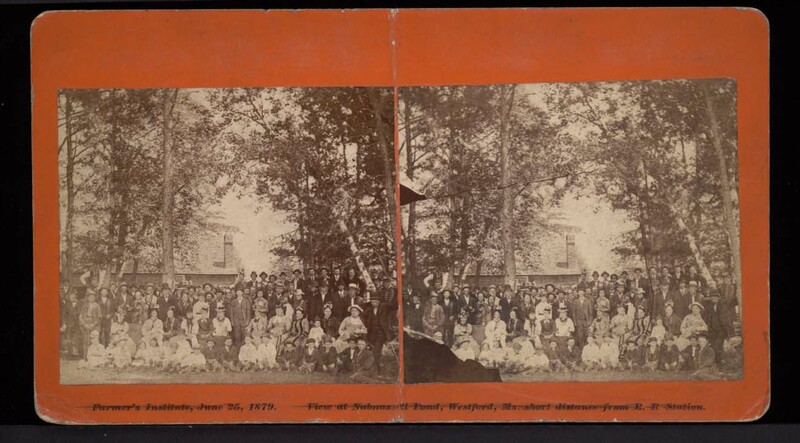 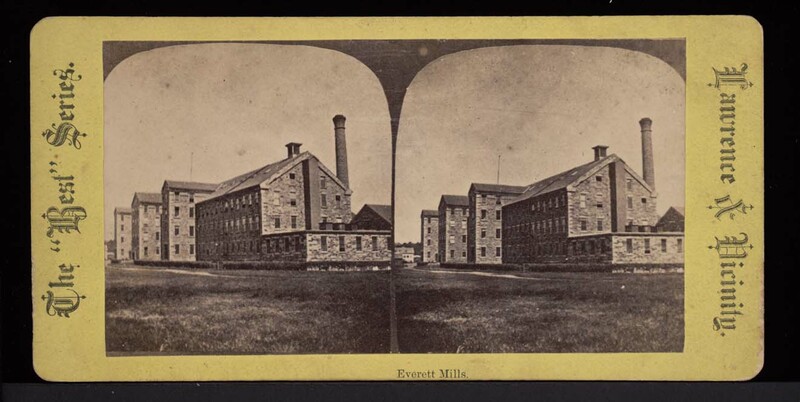 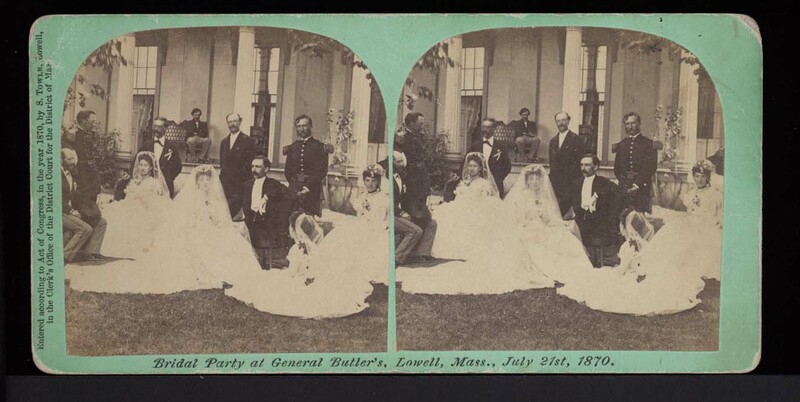 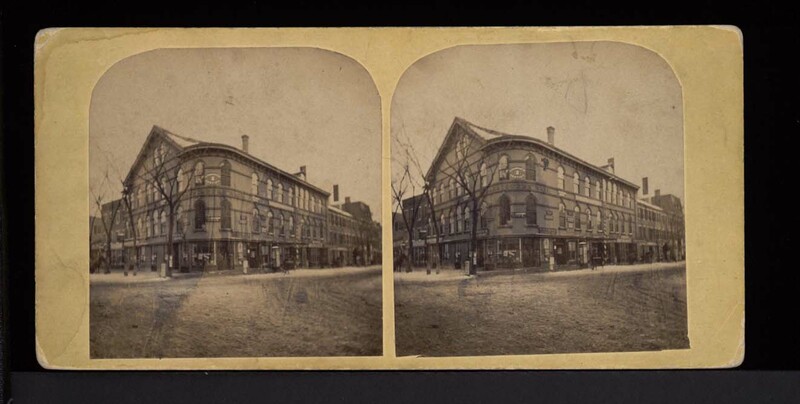 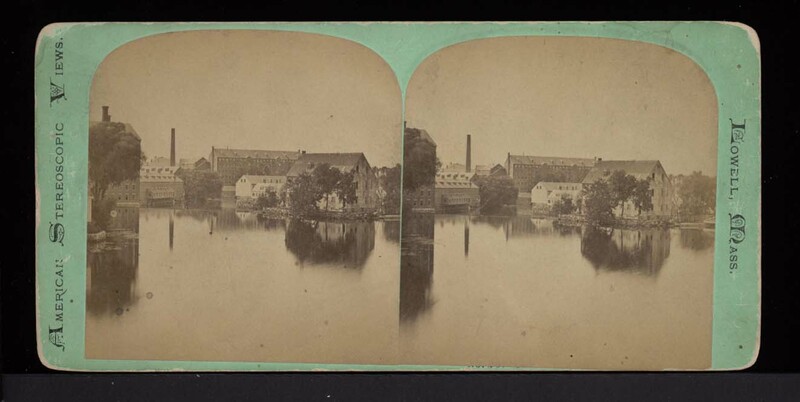 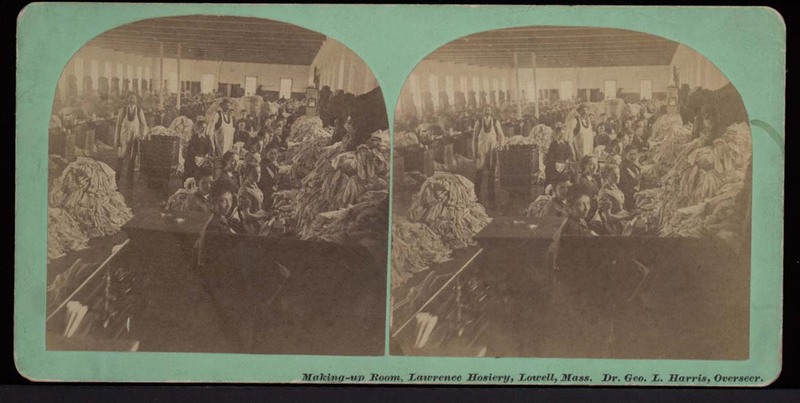 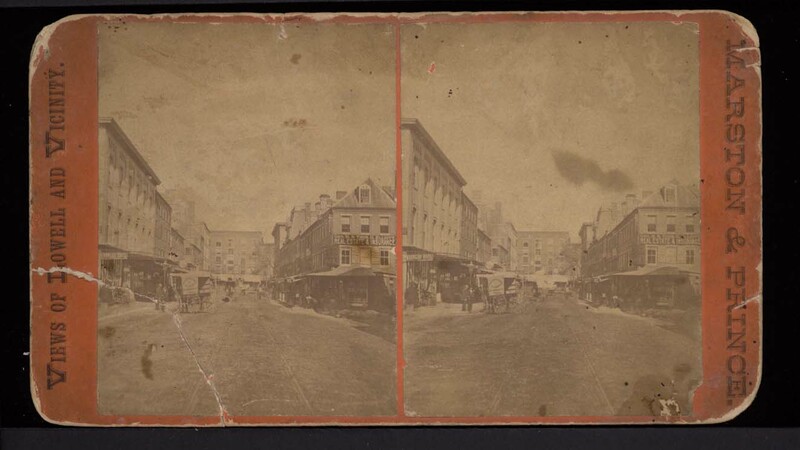 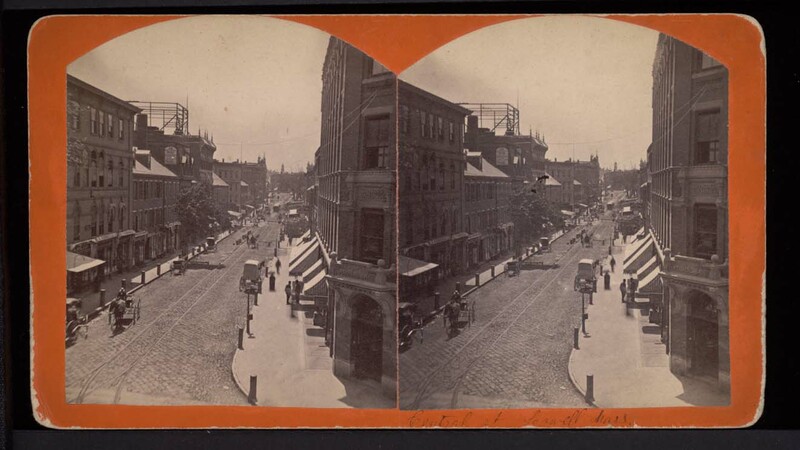 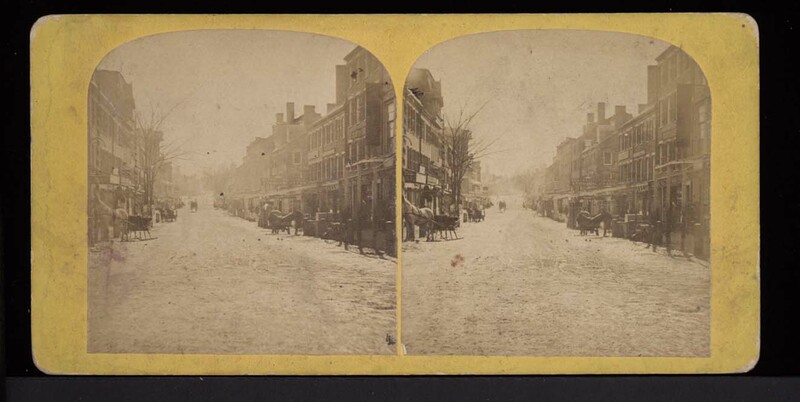 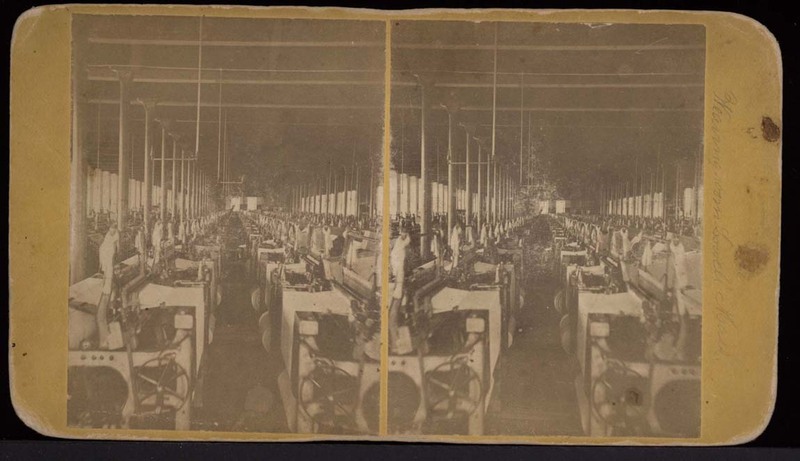 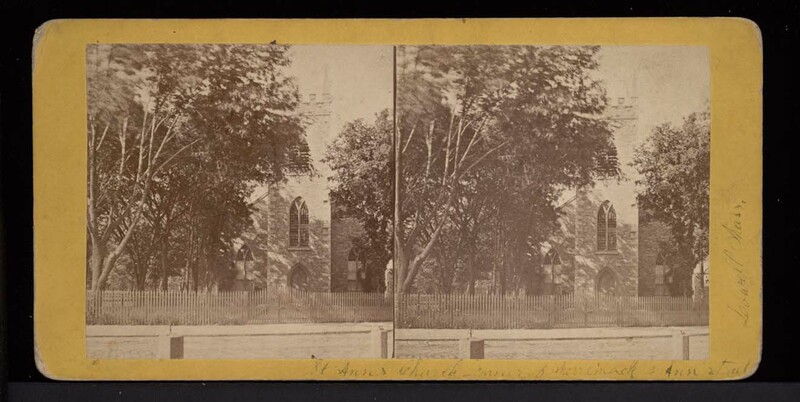 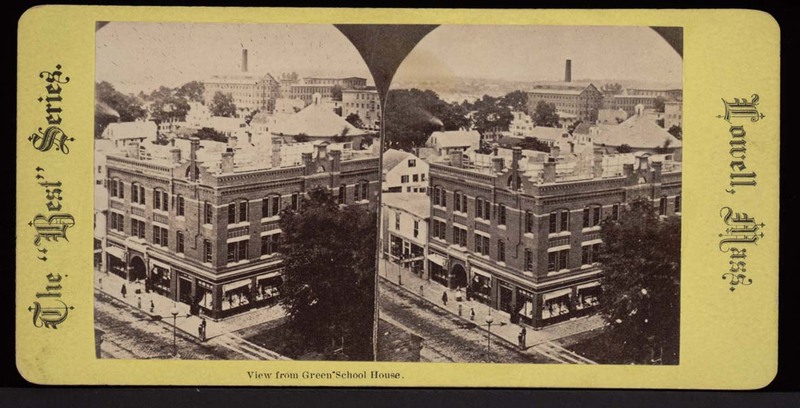 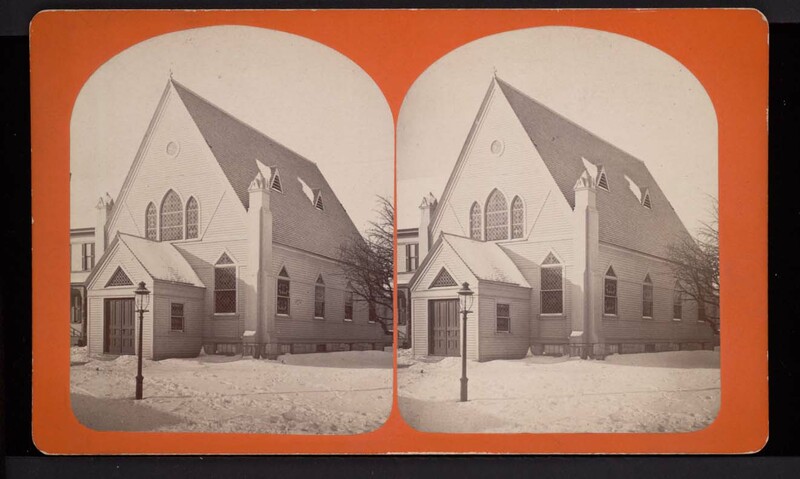 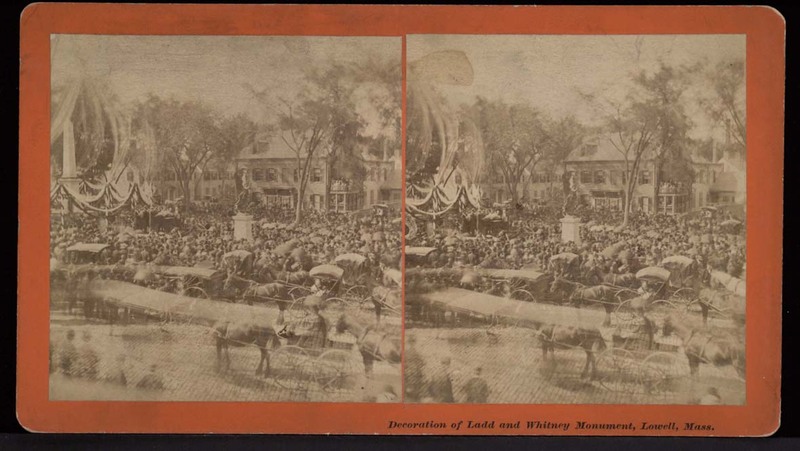 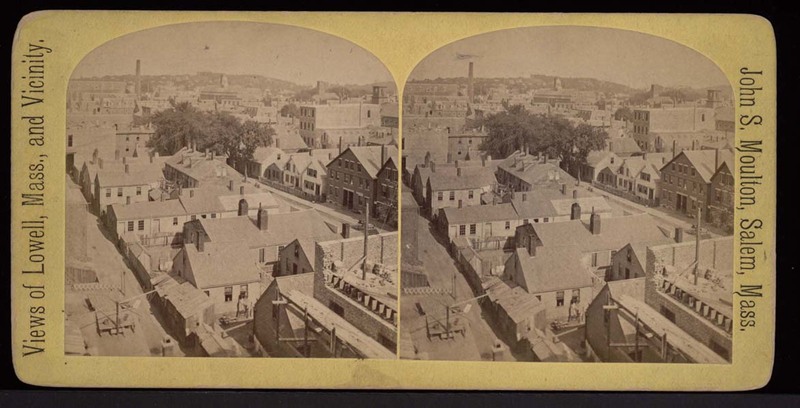 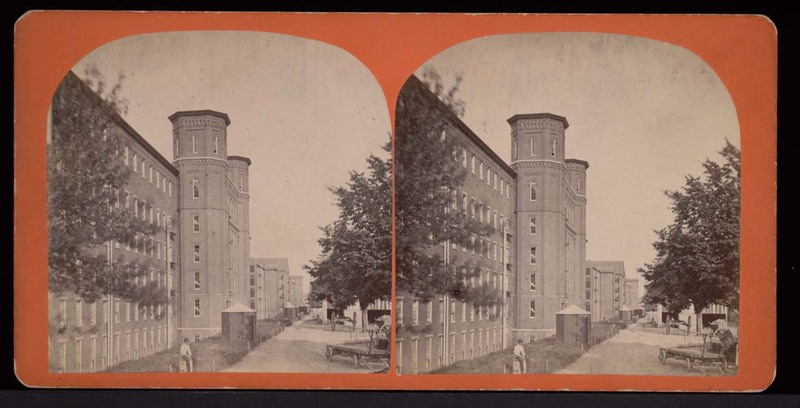 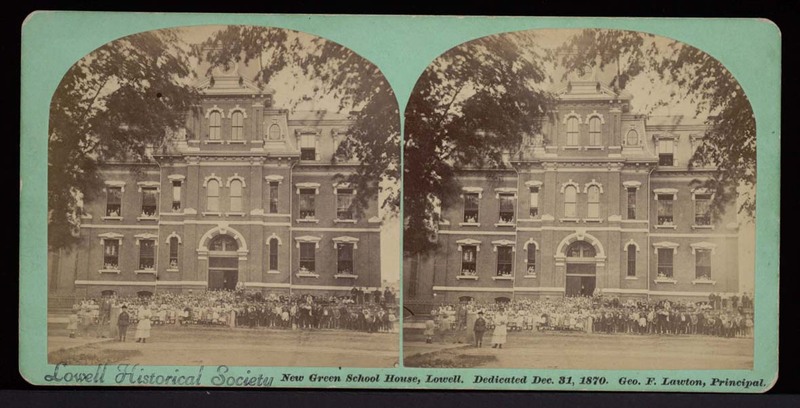 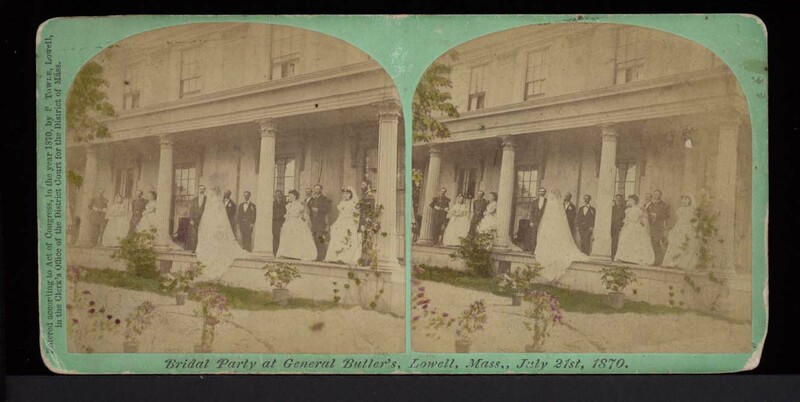 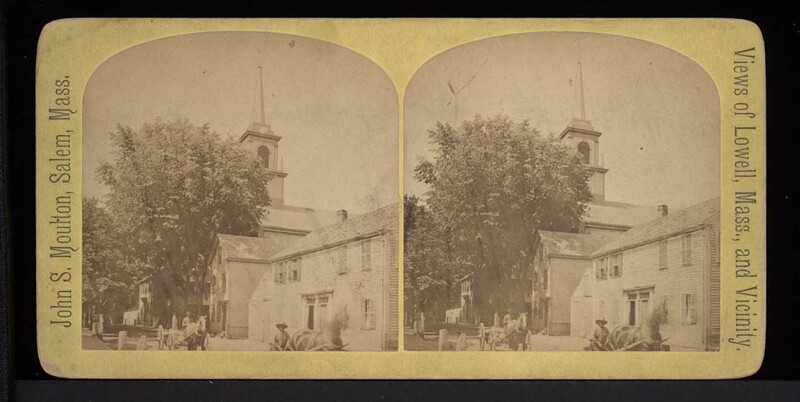 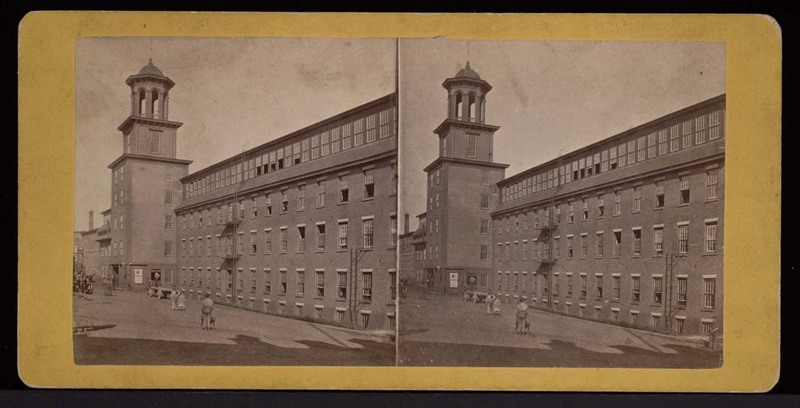 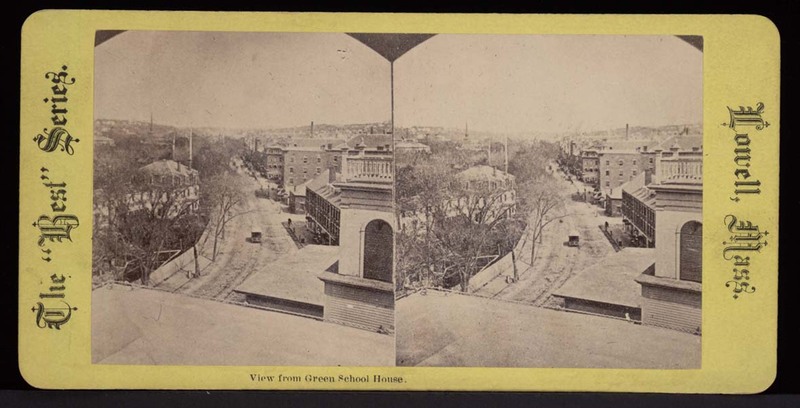 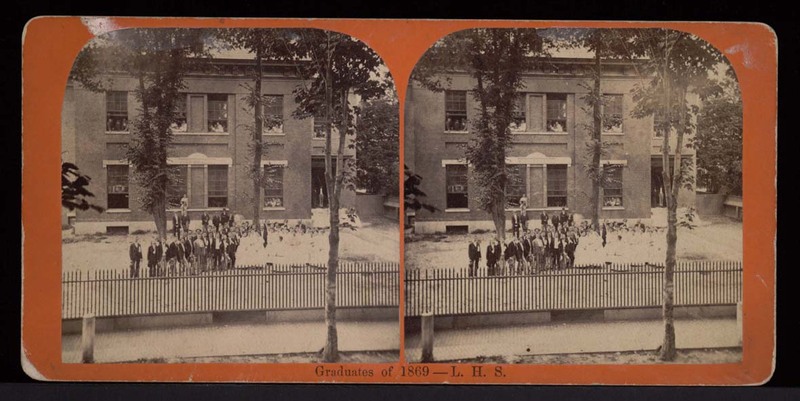 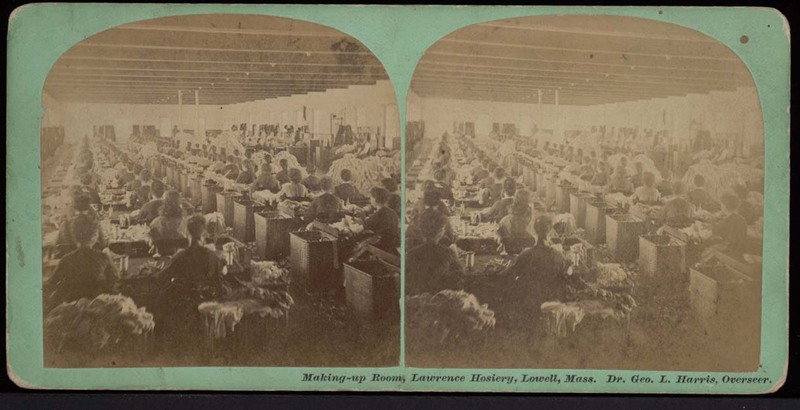 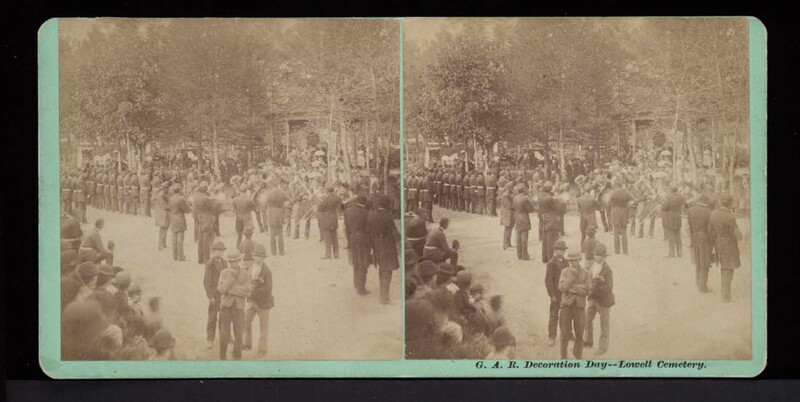 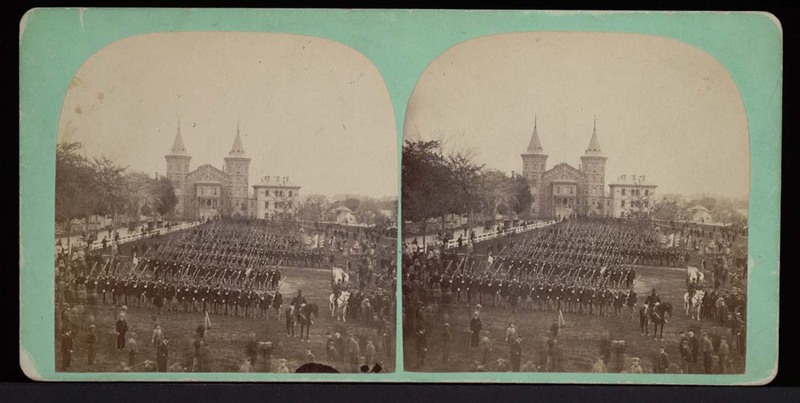 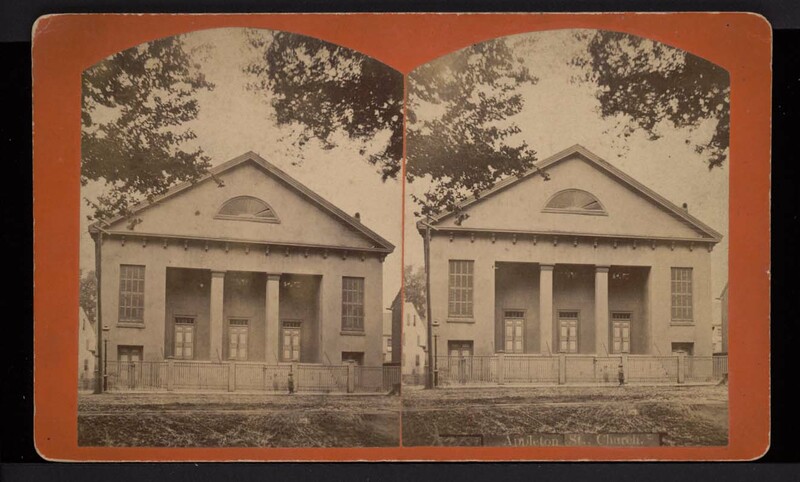 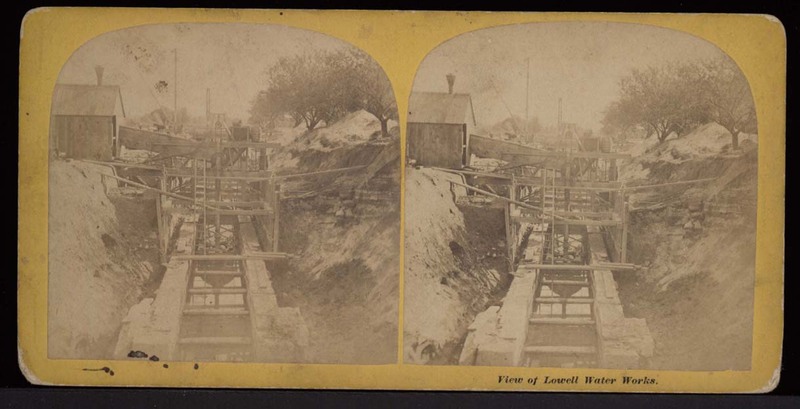 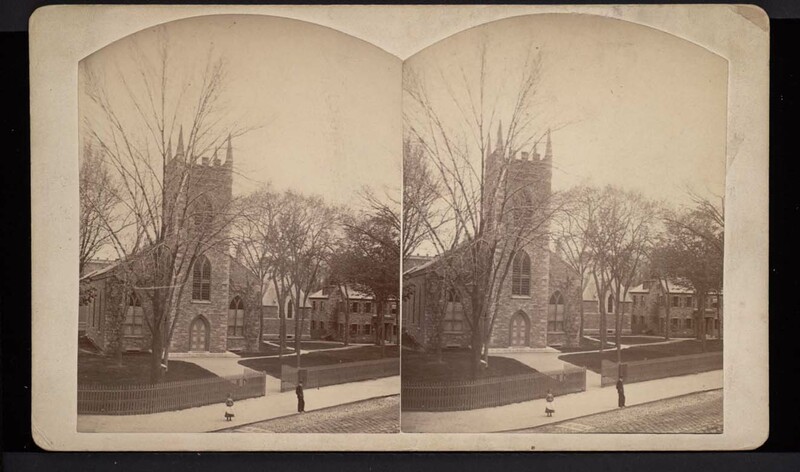 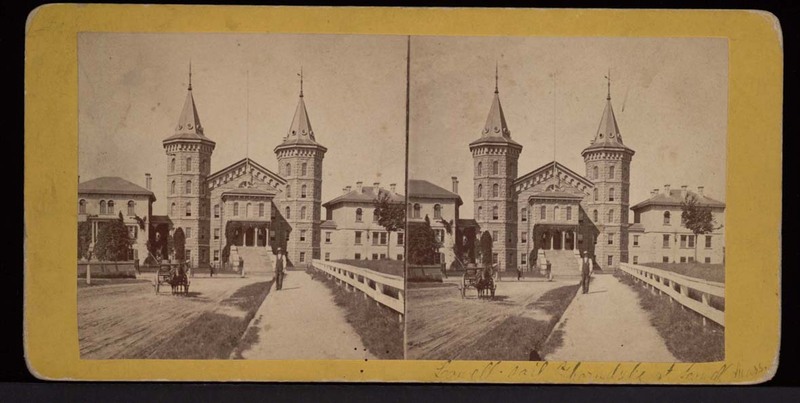 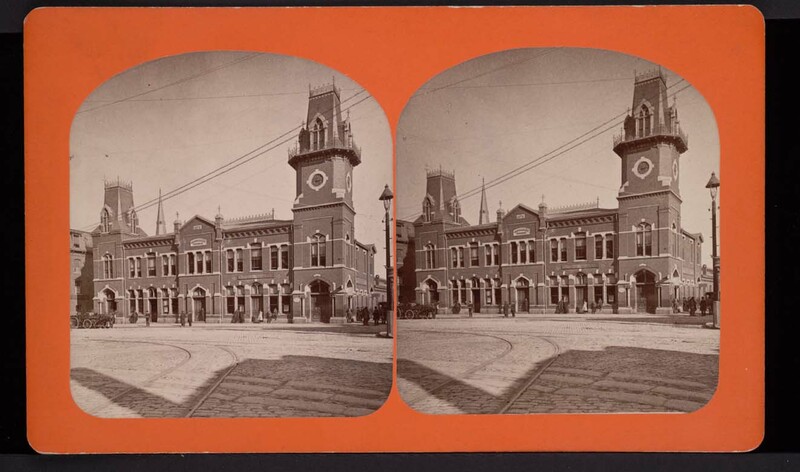 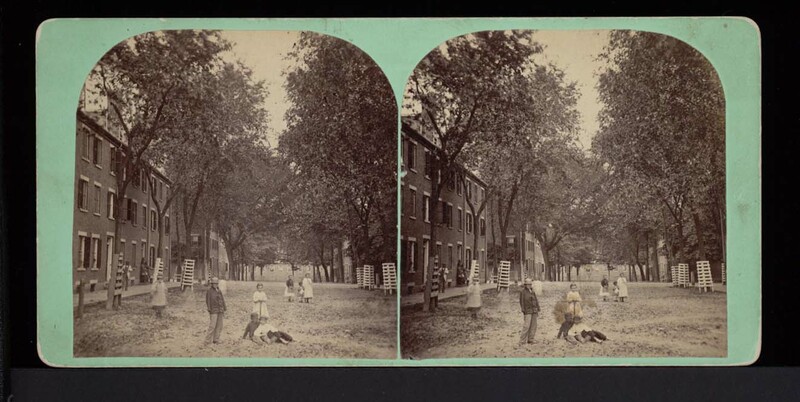 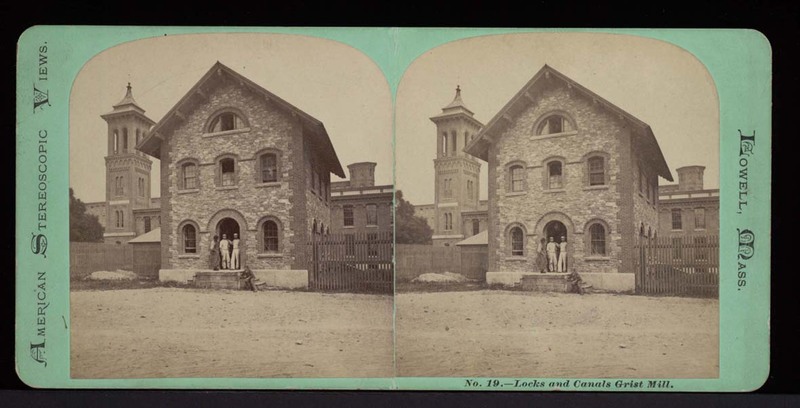 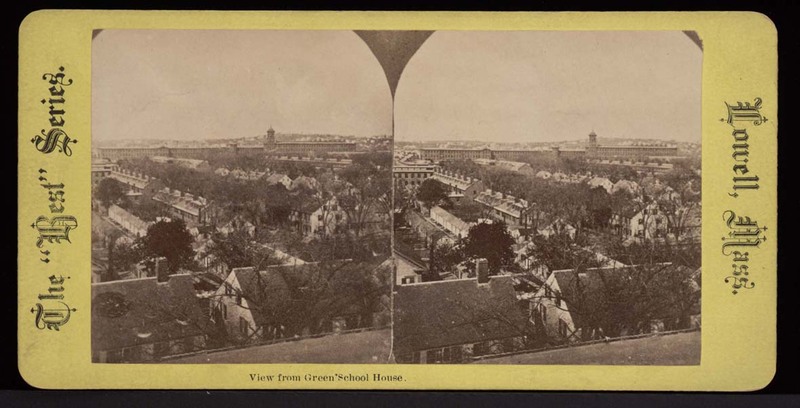 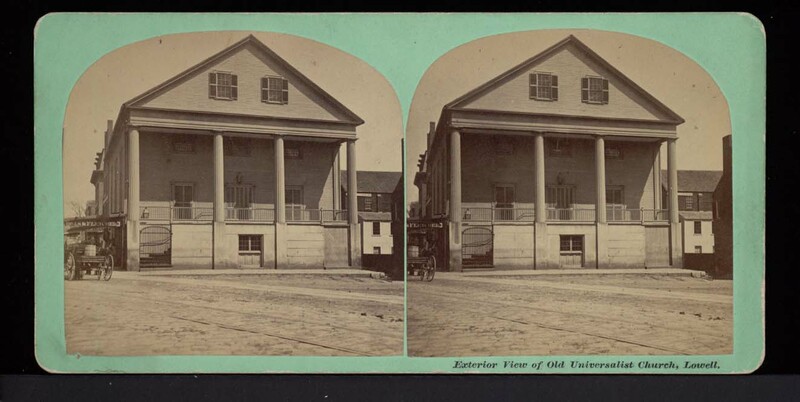 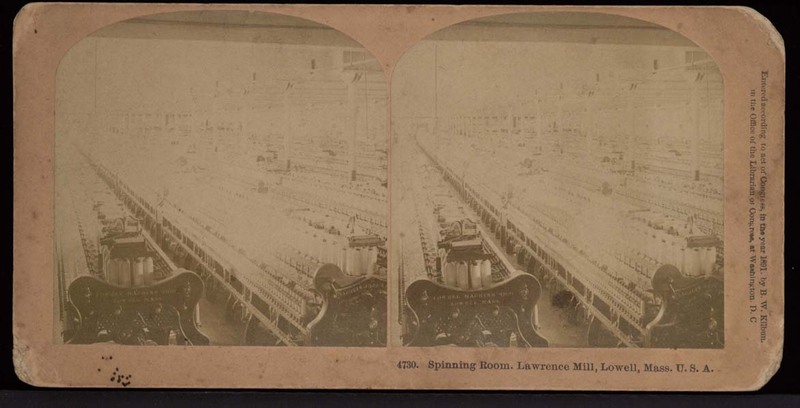 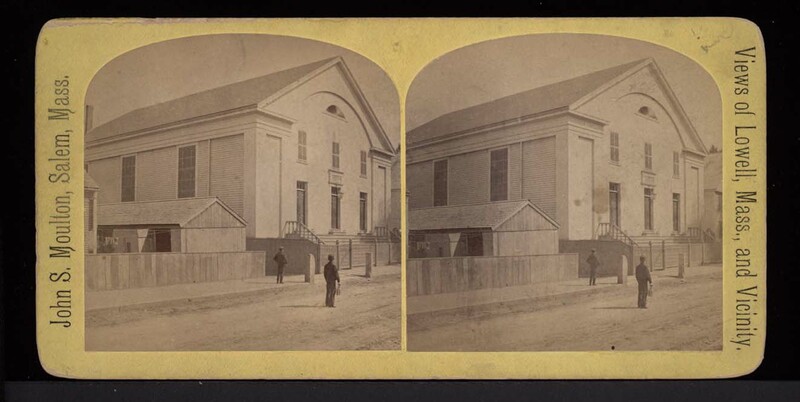 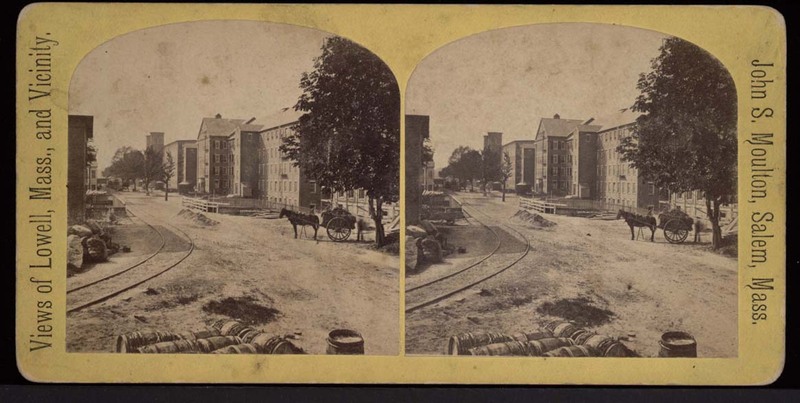 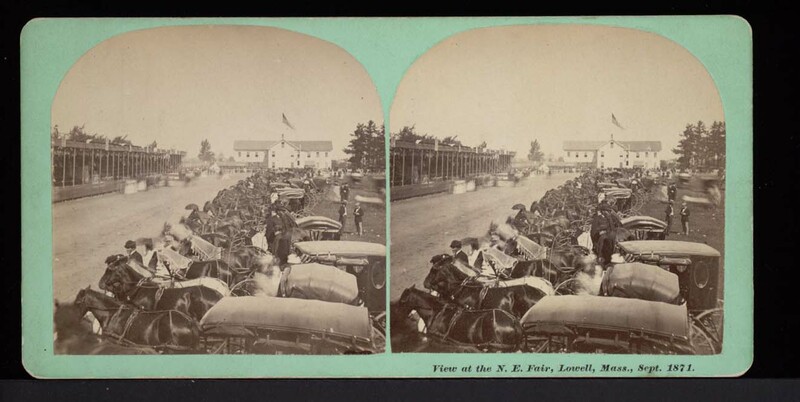 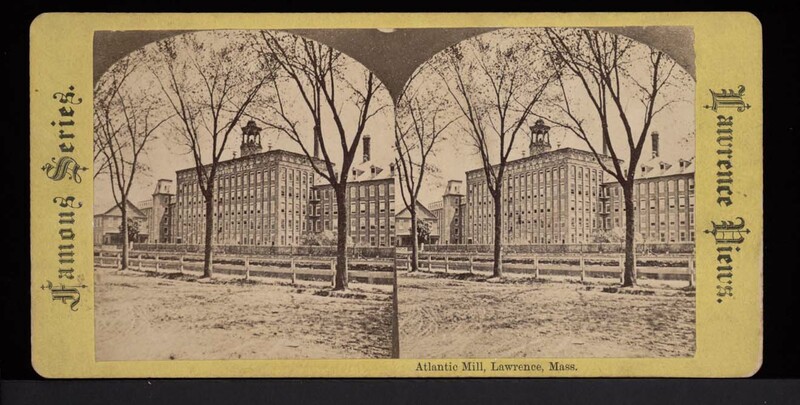 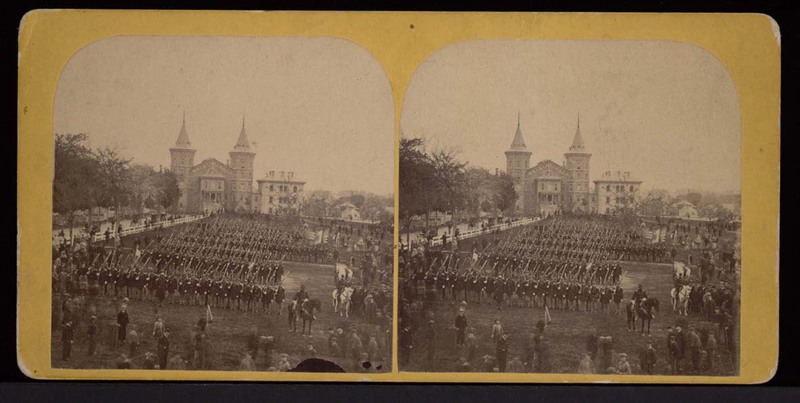 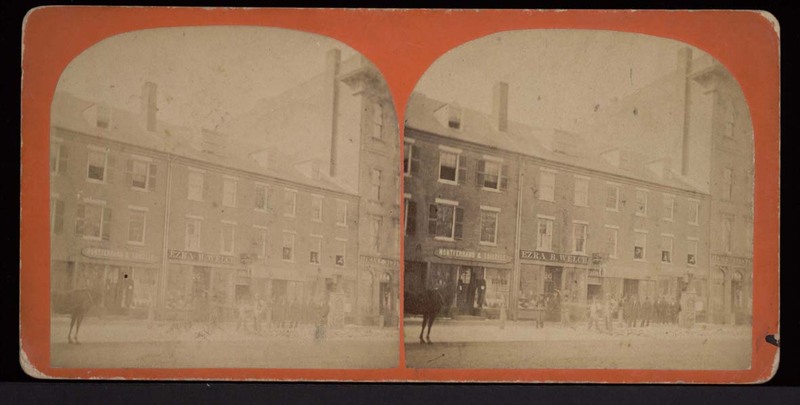 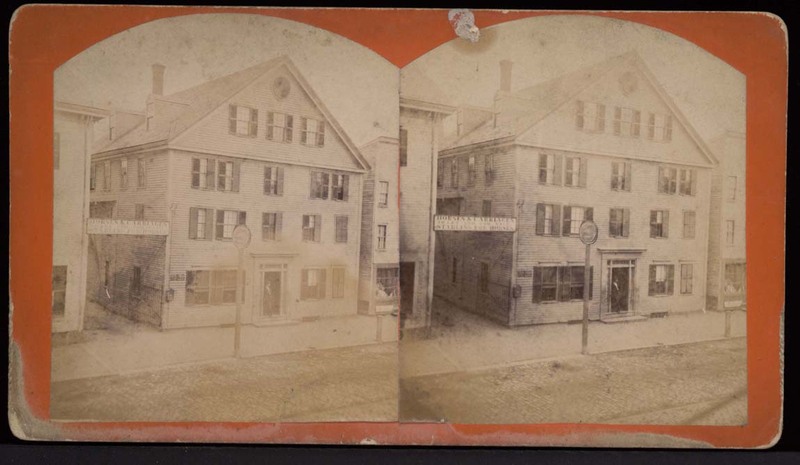 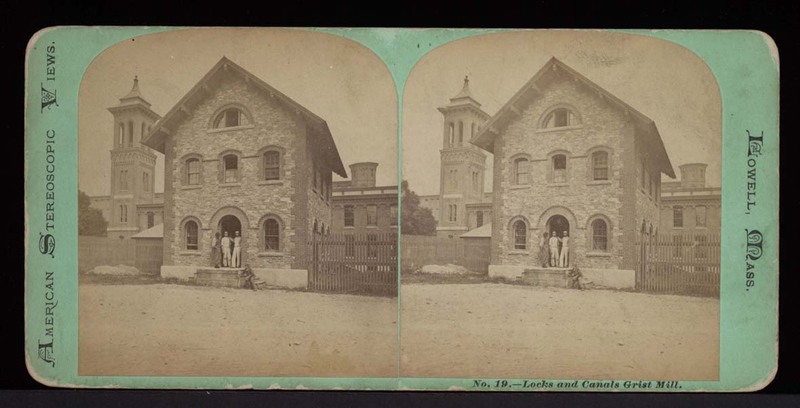 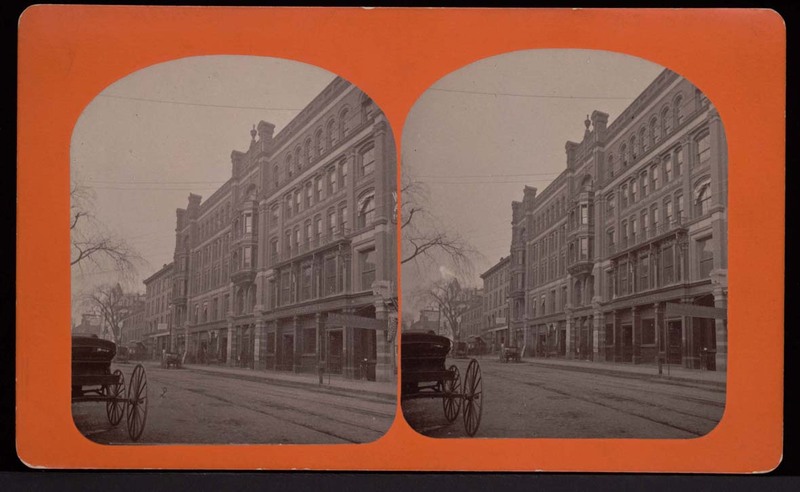 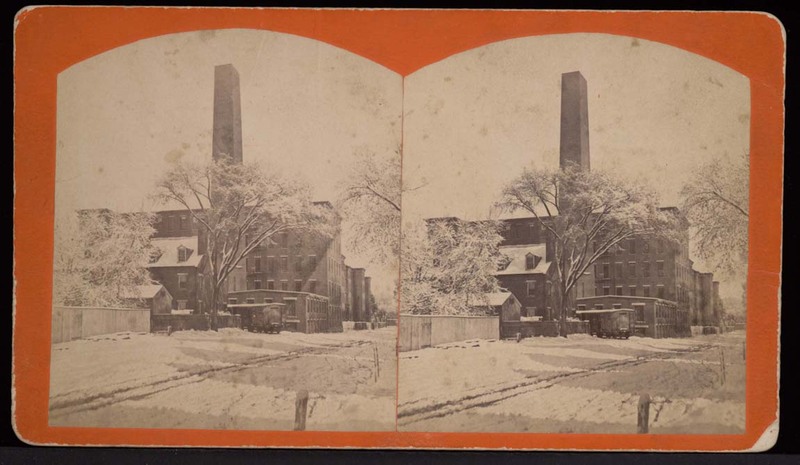 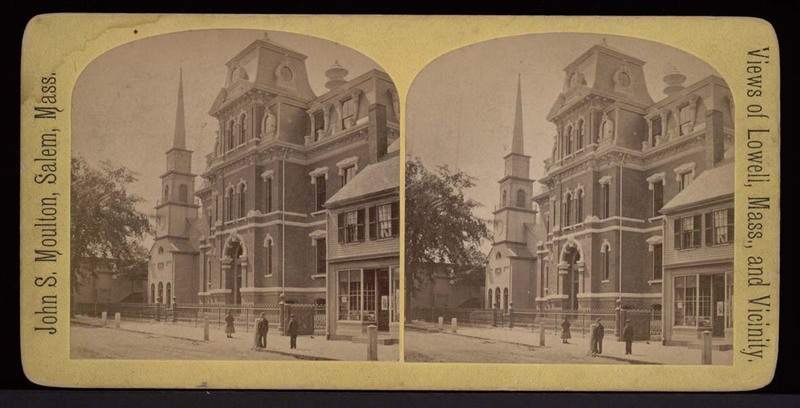 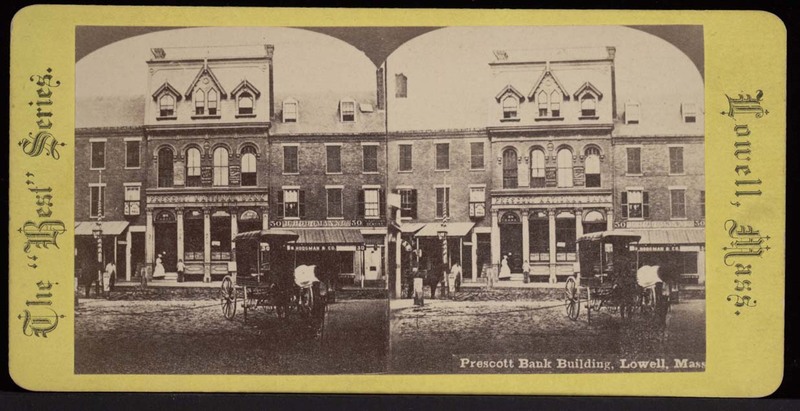 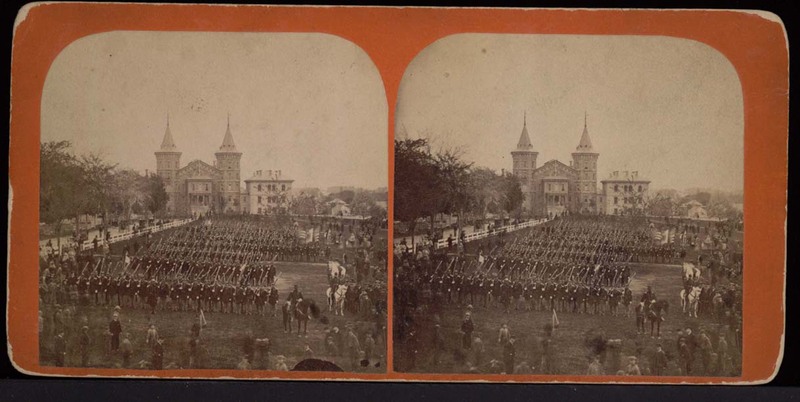 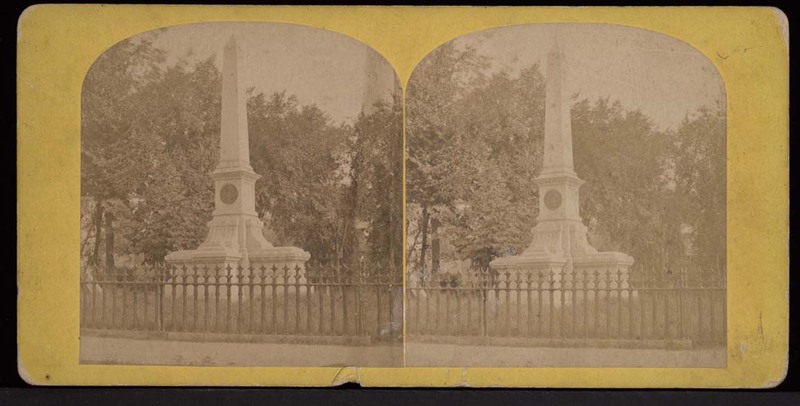 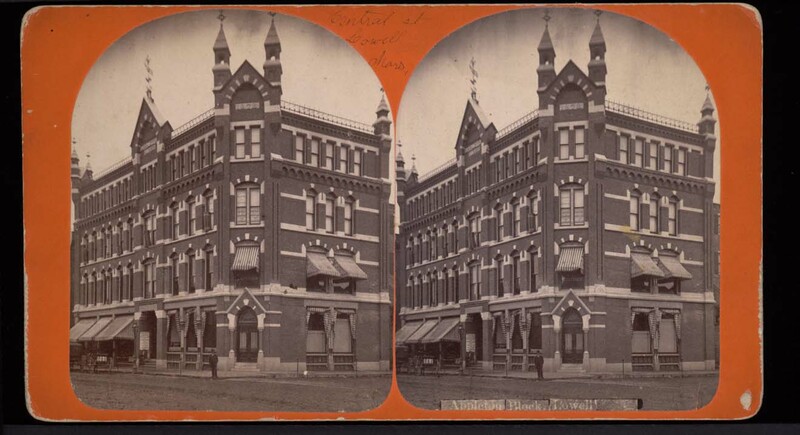 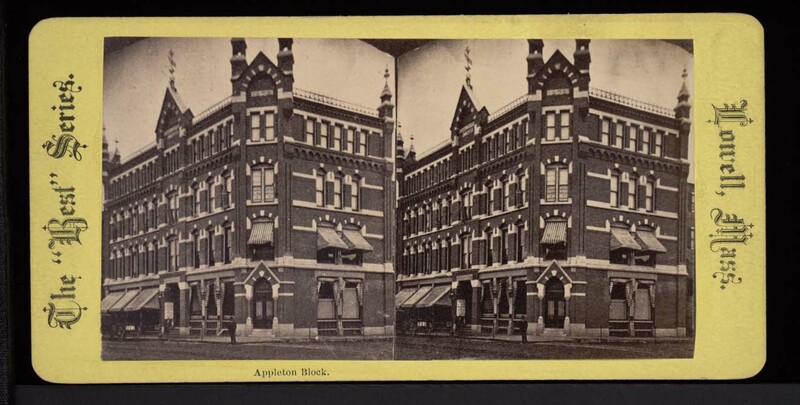 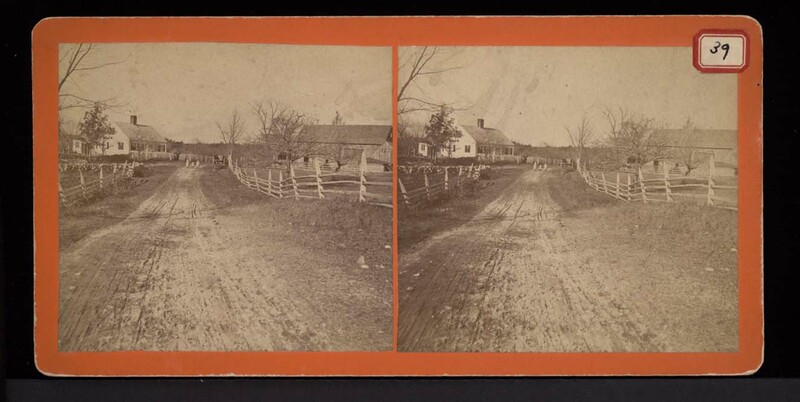 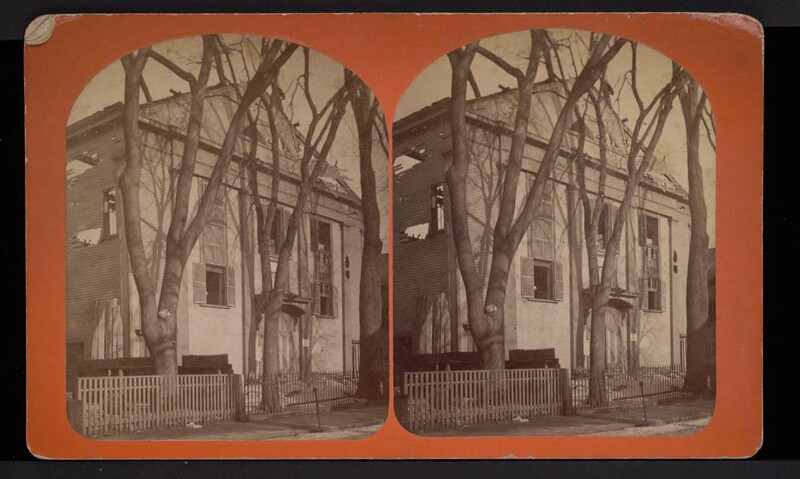 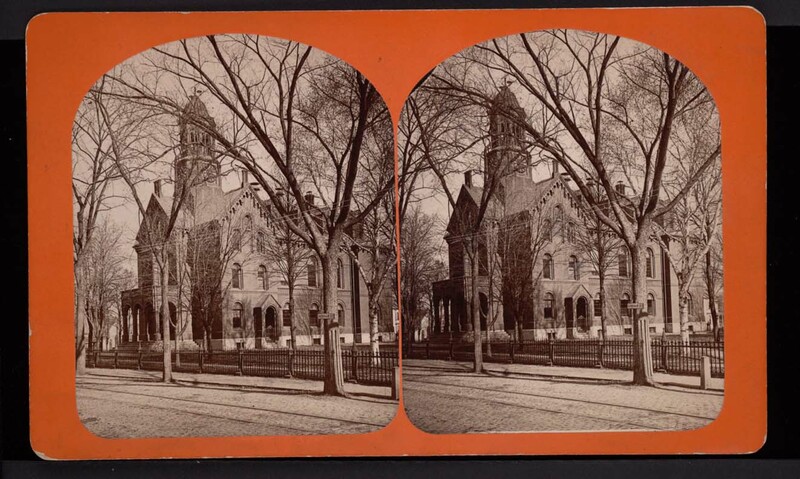 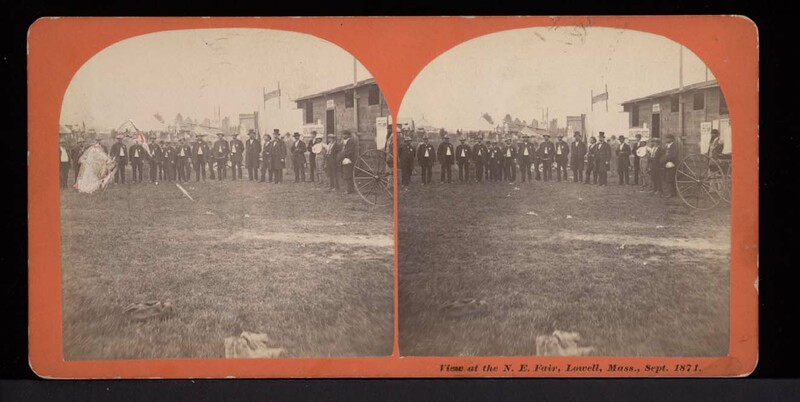 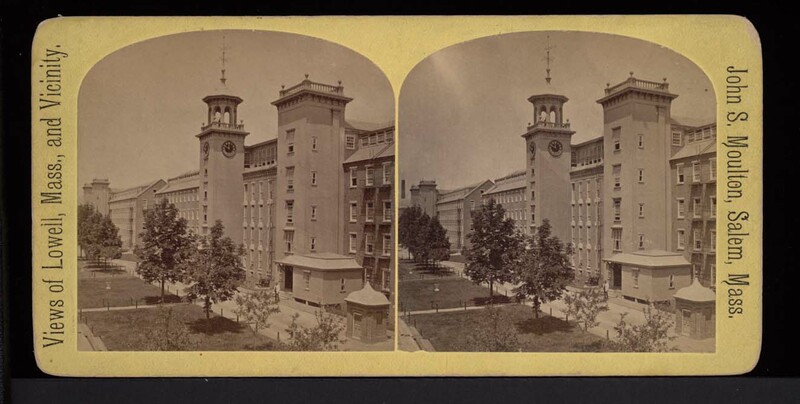 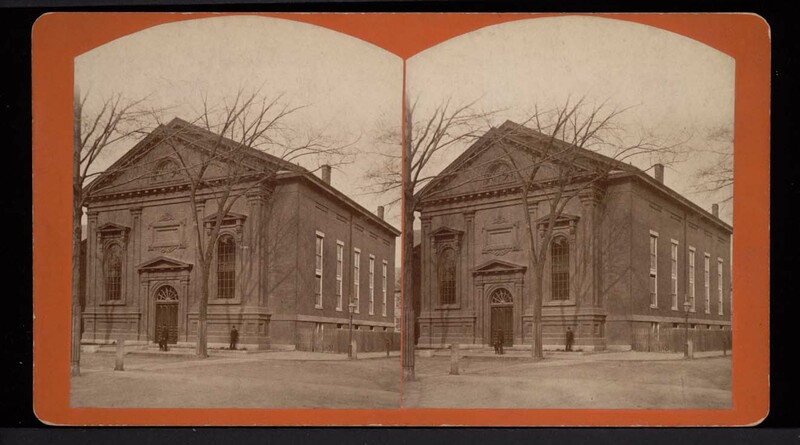 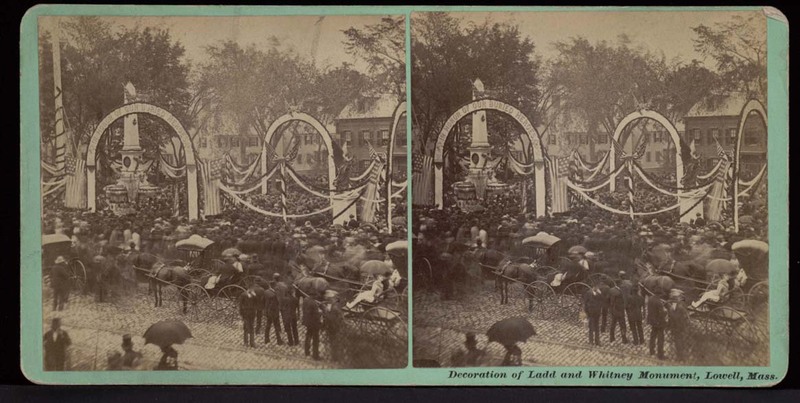 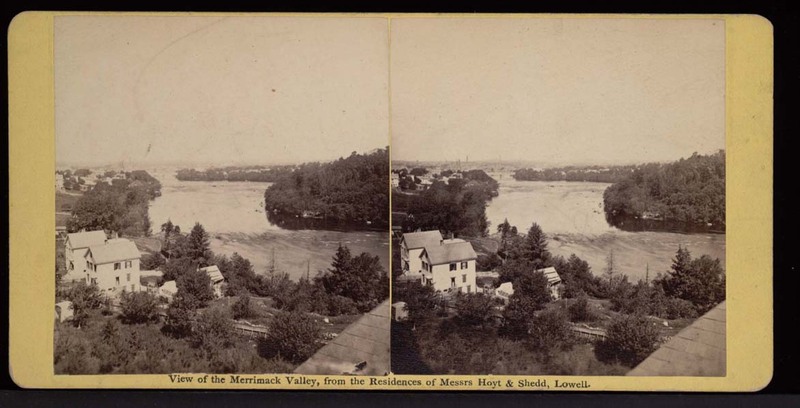 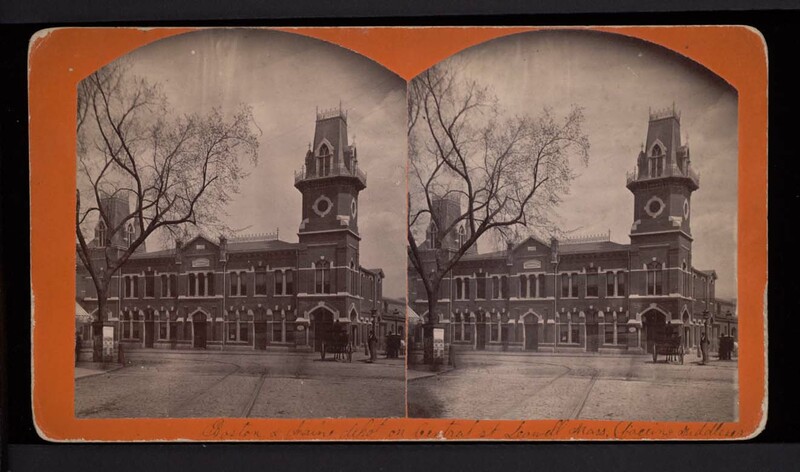 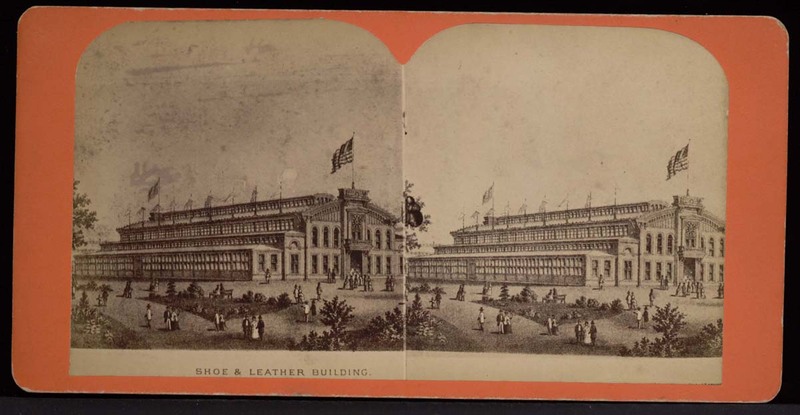 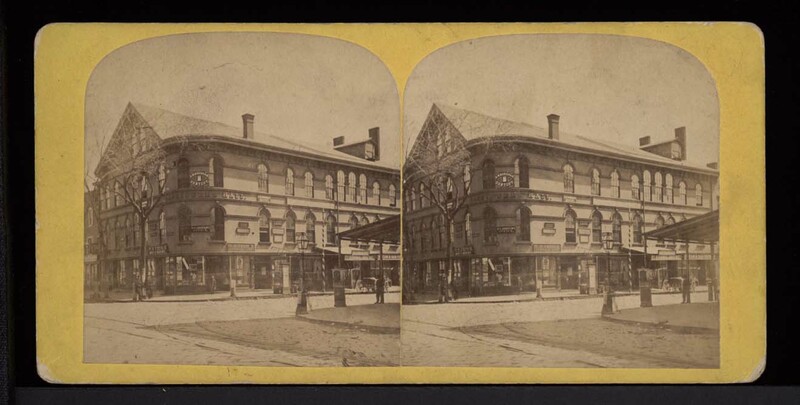 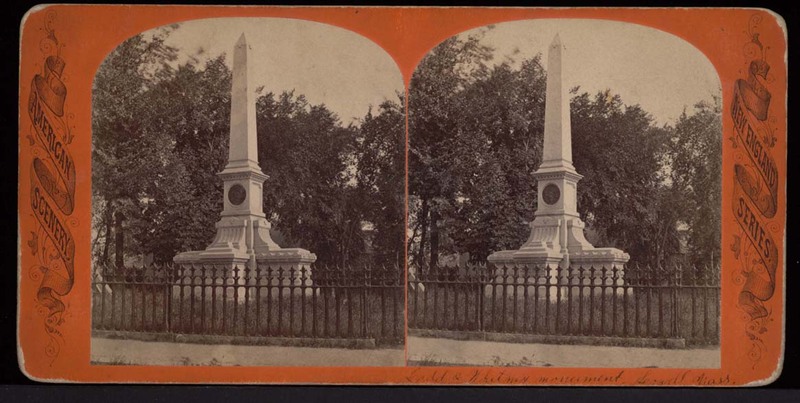 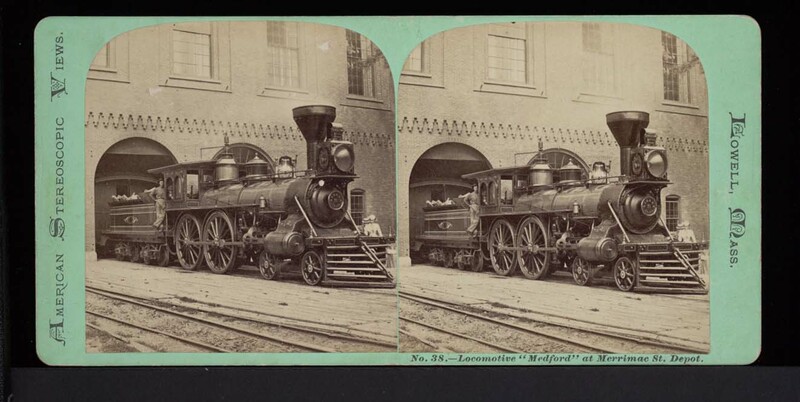 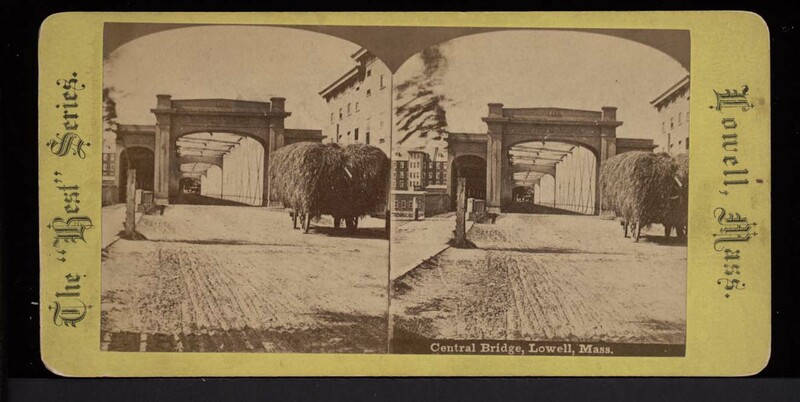 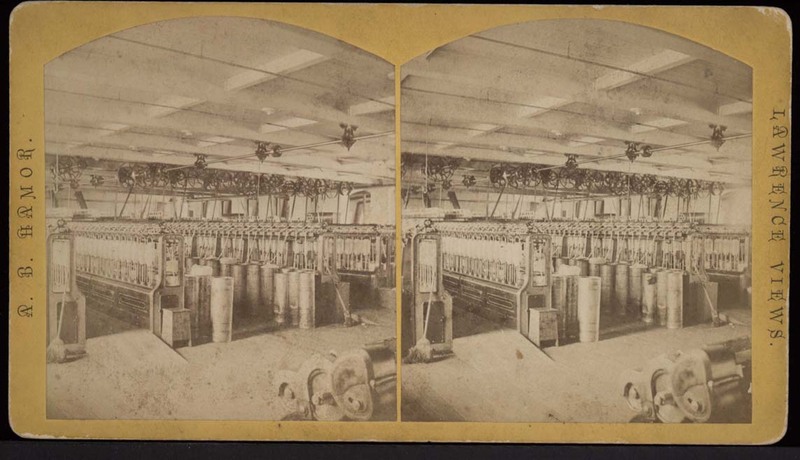 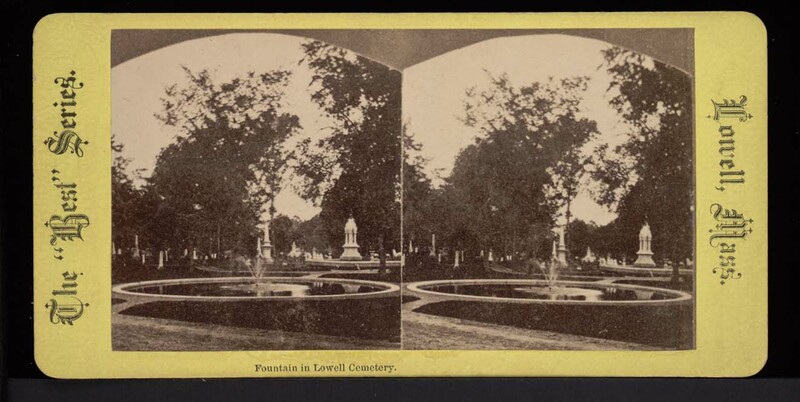 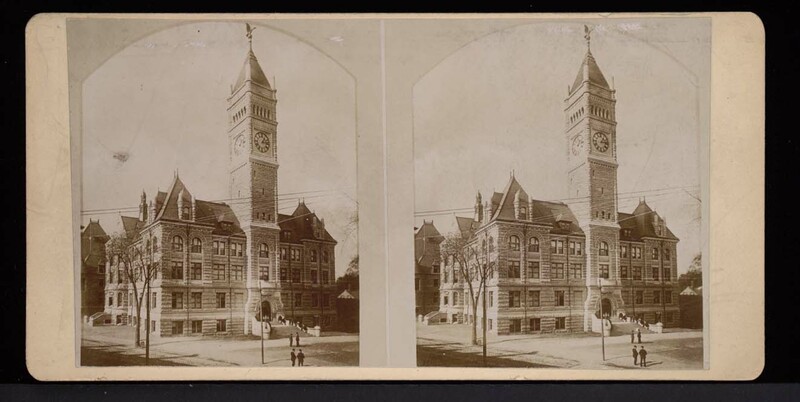 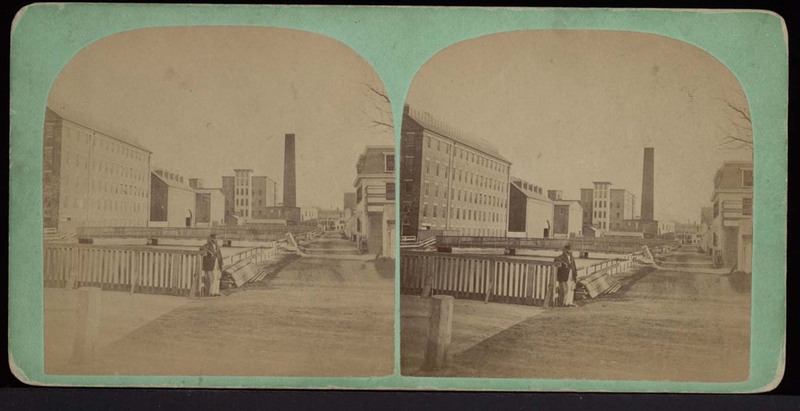 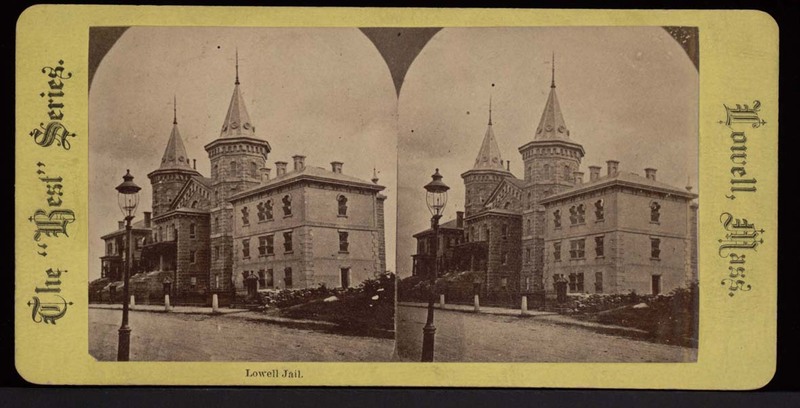 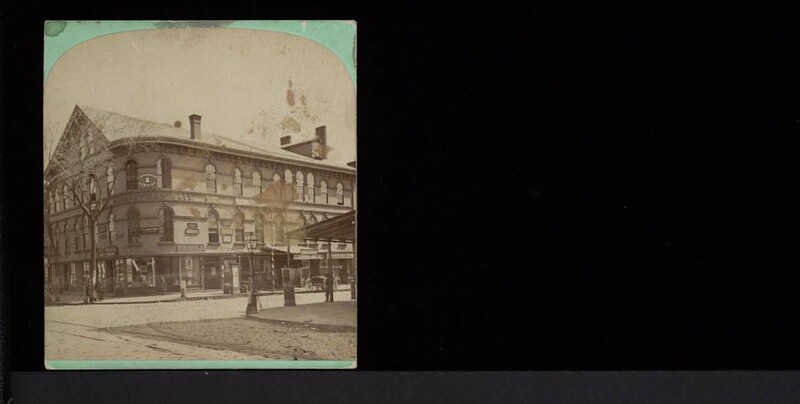 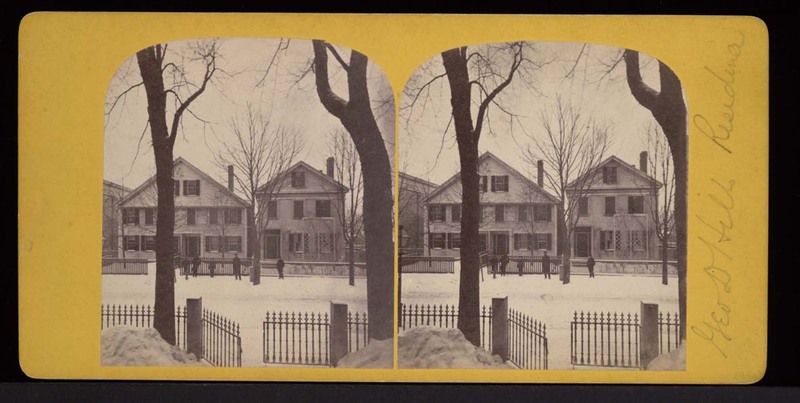 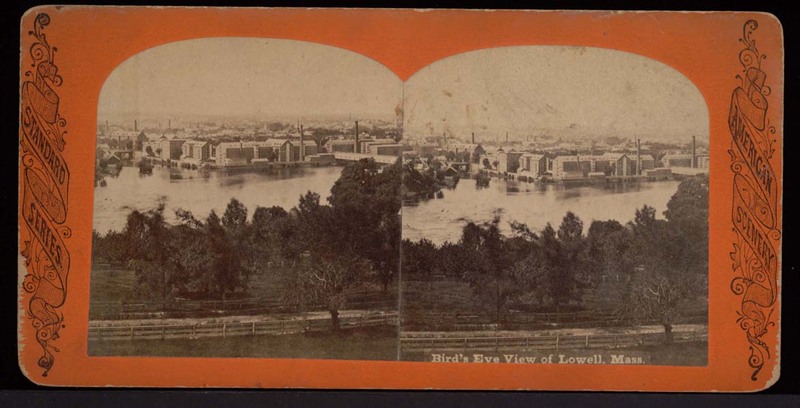 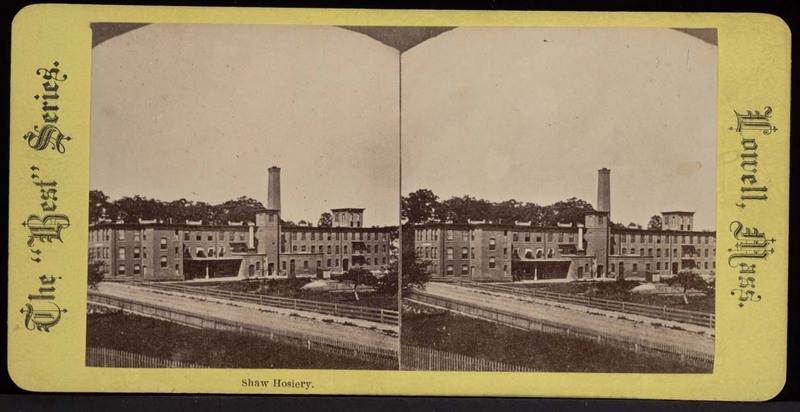 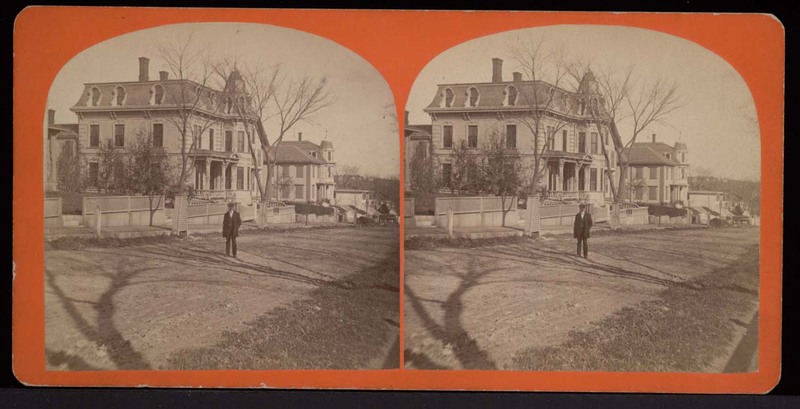 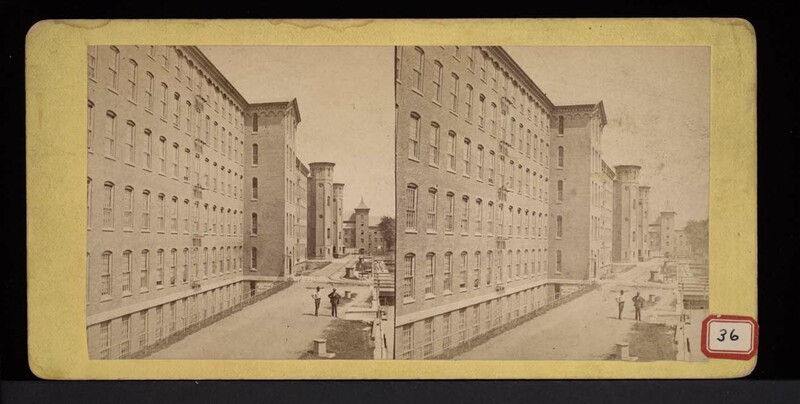 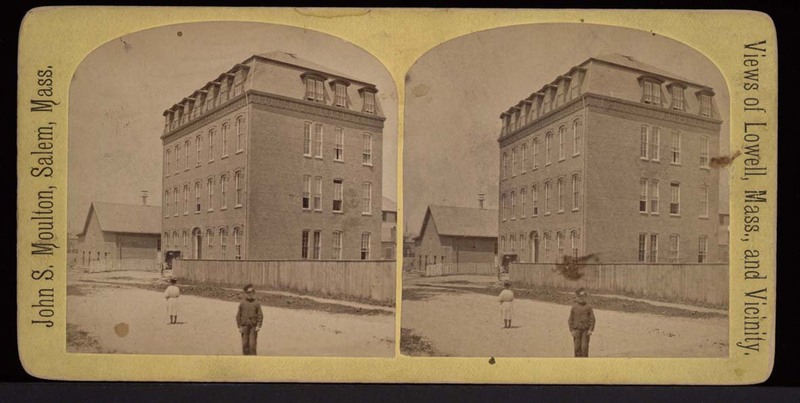 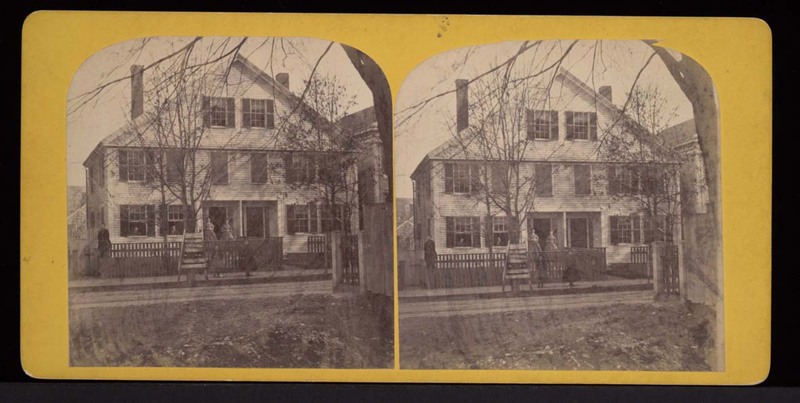 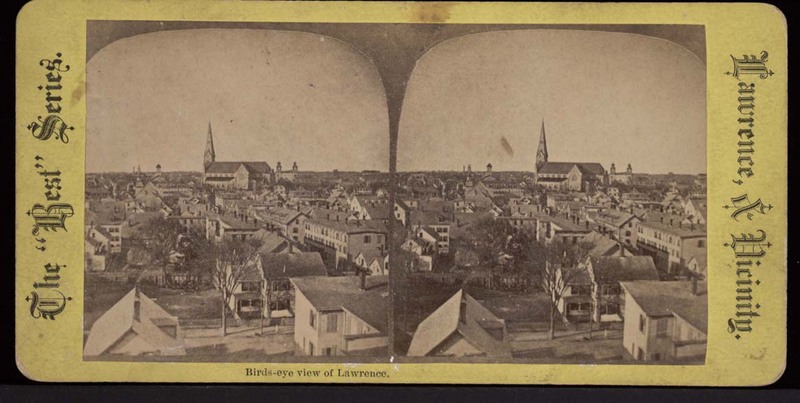 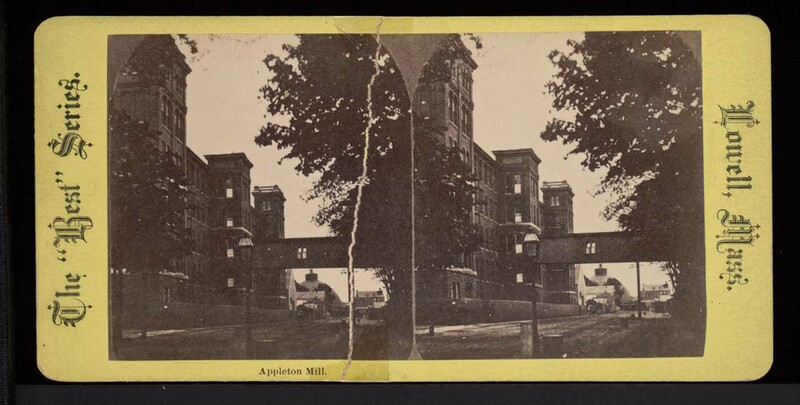 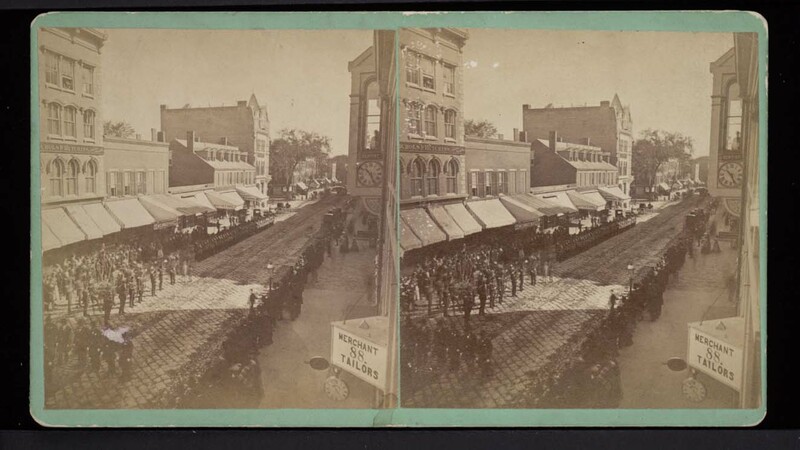 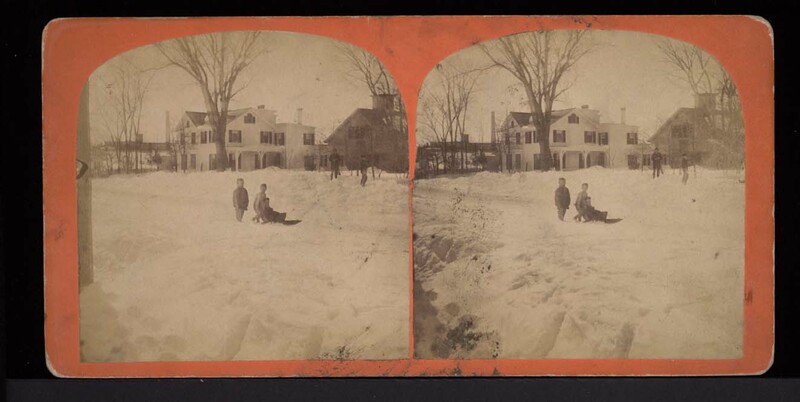 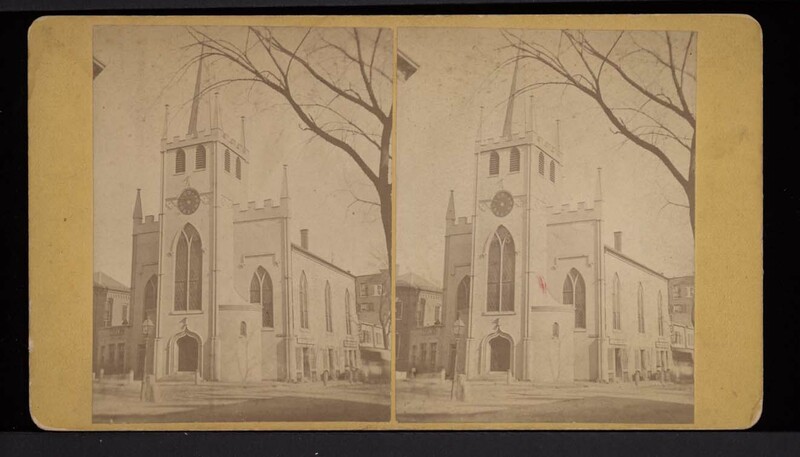 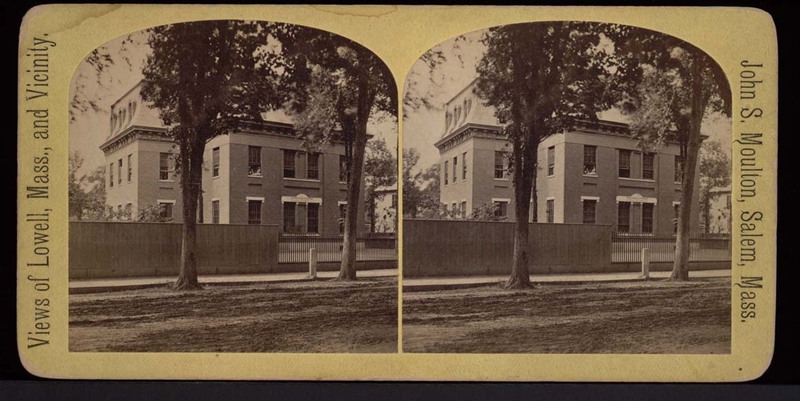 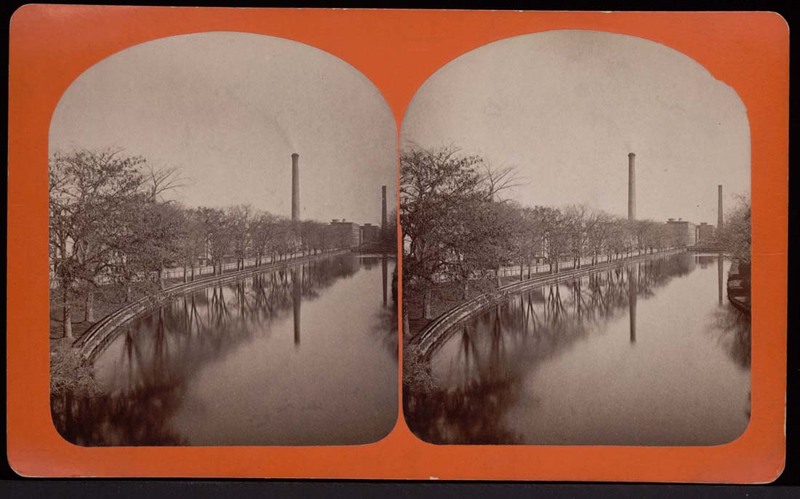 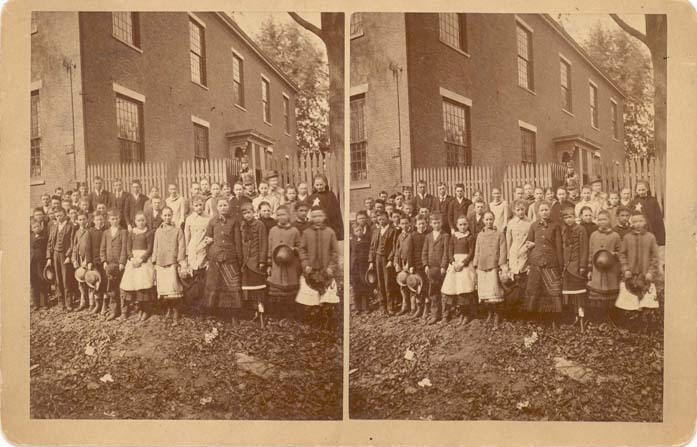 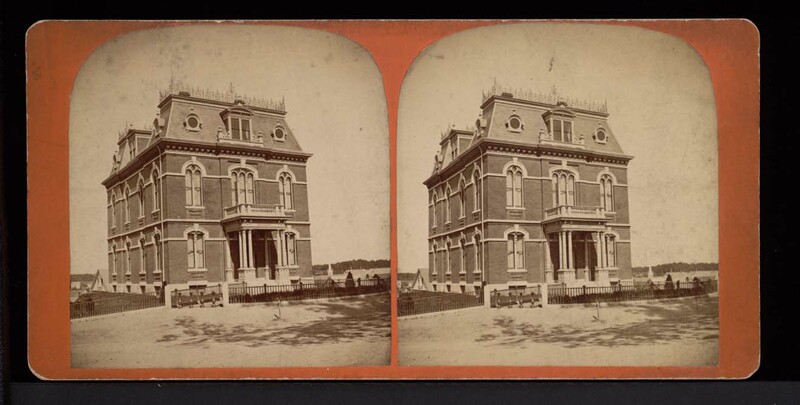 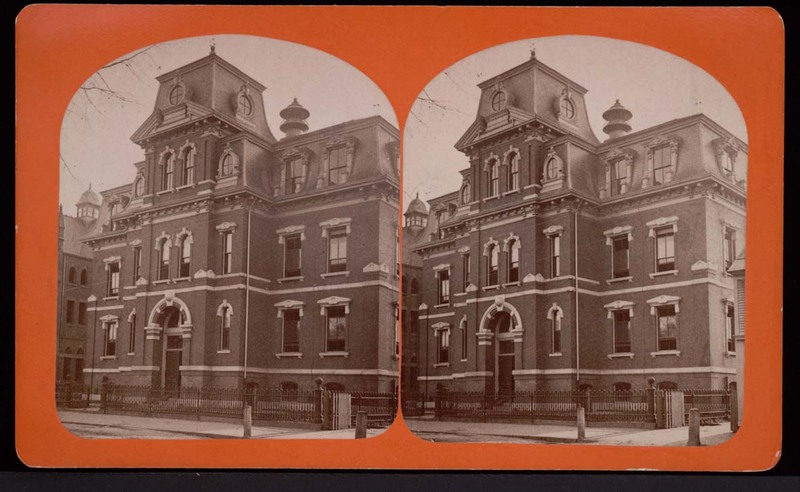 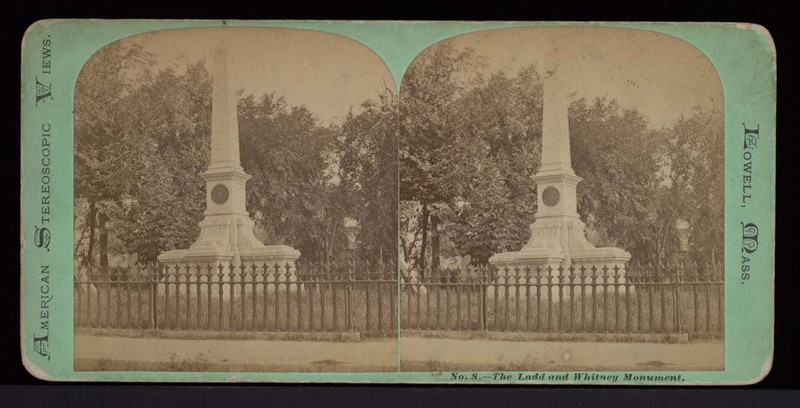 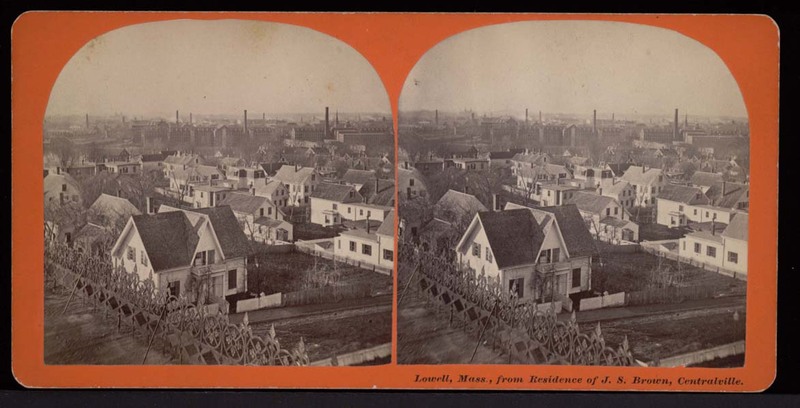 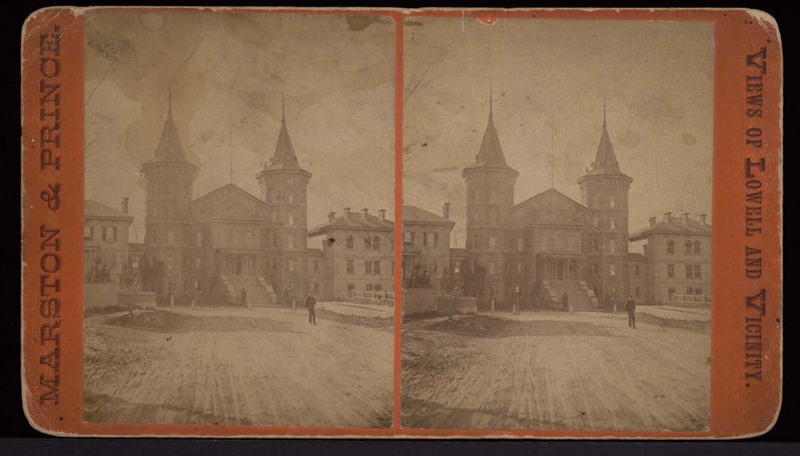 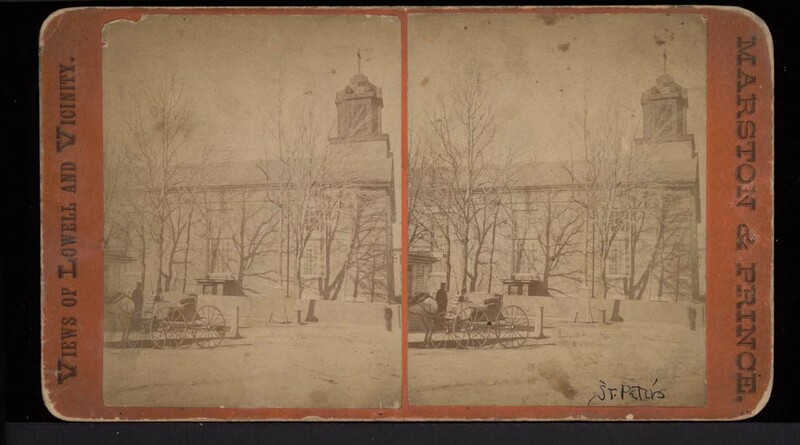 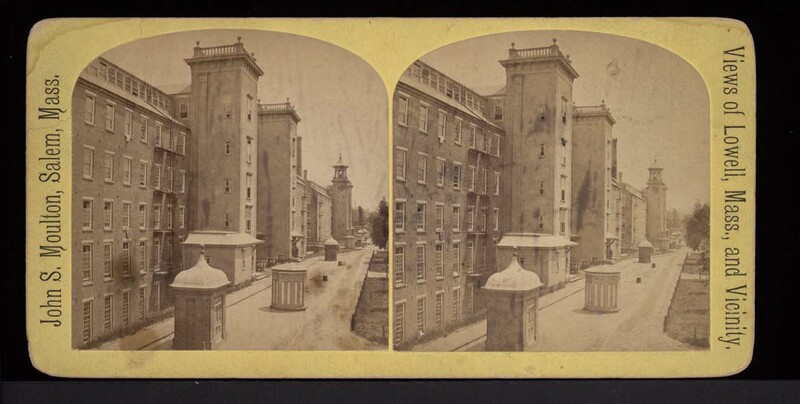 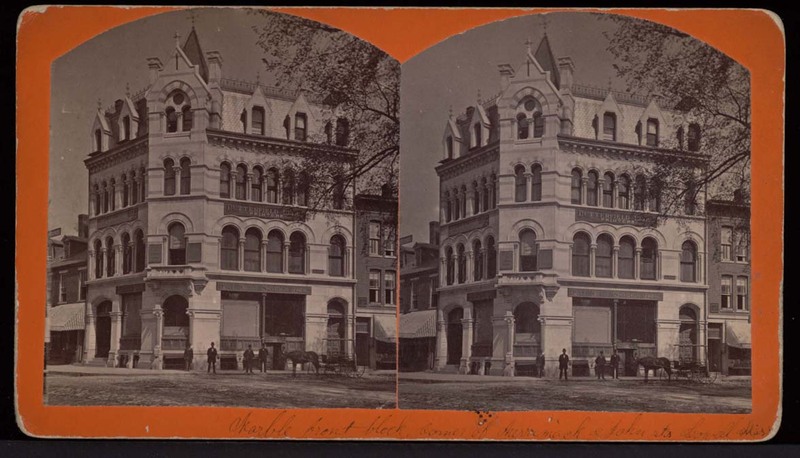 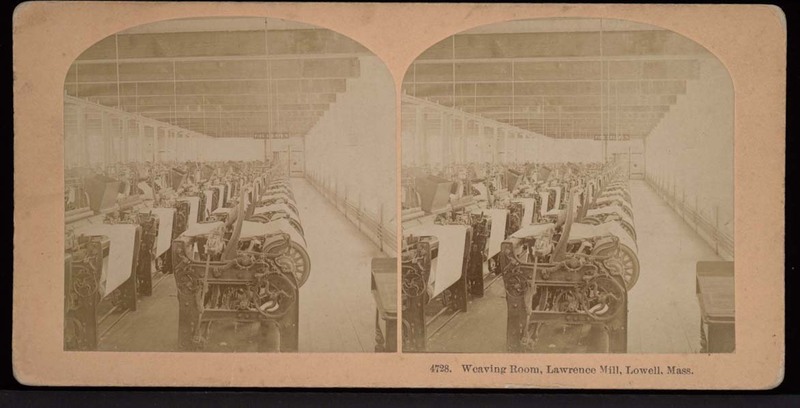 Lowell Stereoviews from the period of 1860s-1890s were selected from collections owned by the Lowell Historical Society and the University of Massachusetts Lowell and housed at the Center for Lowell History. 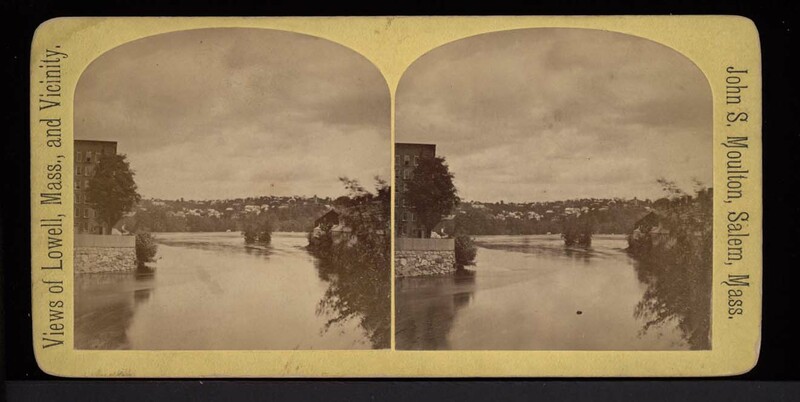 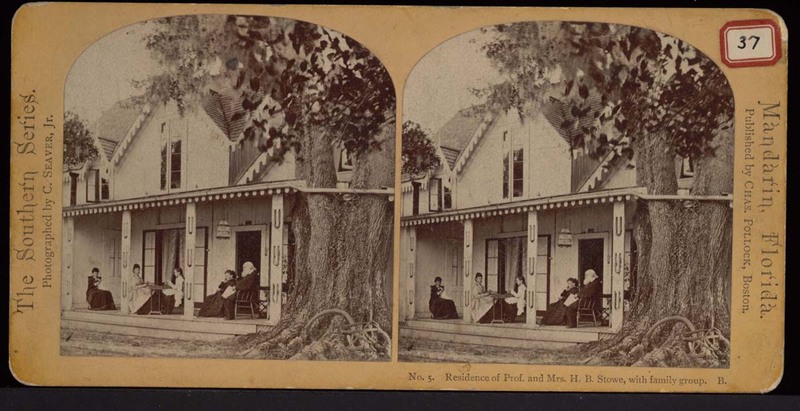 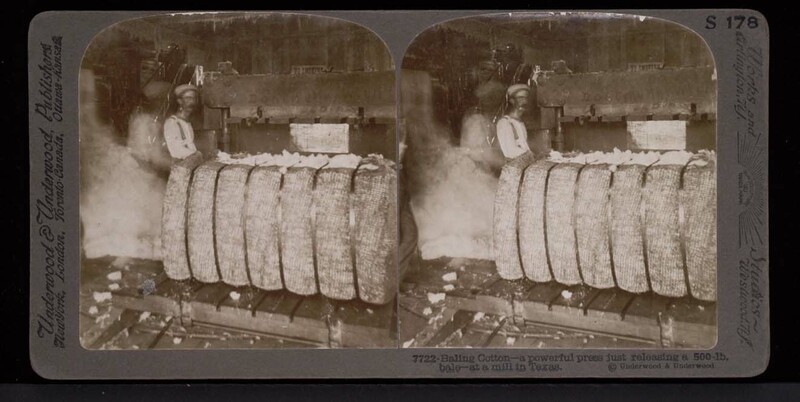 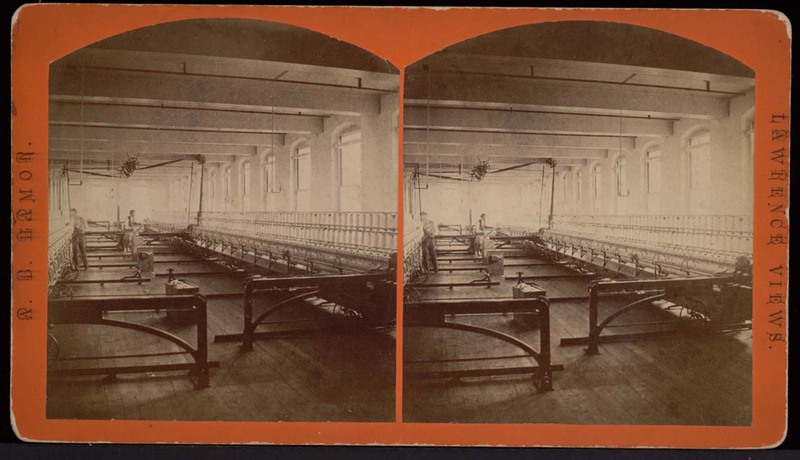 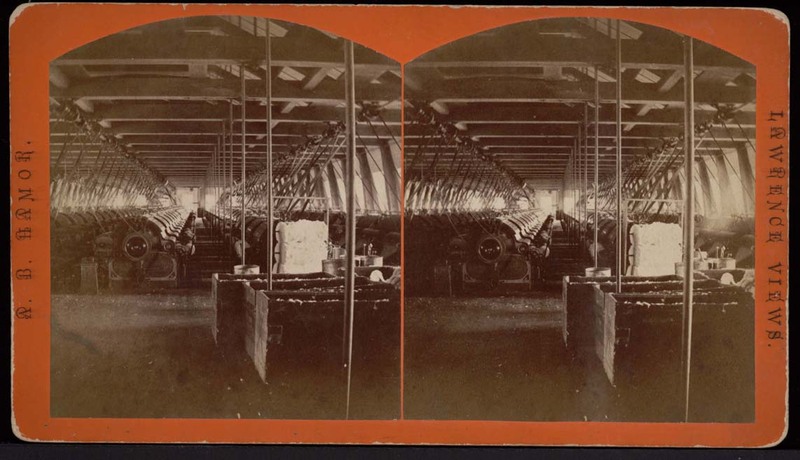 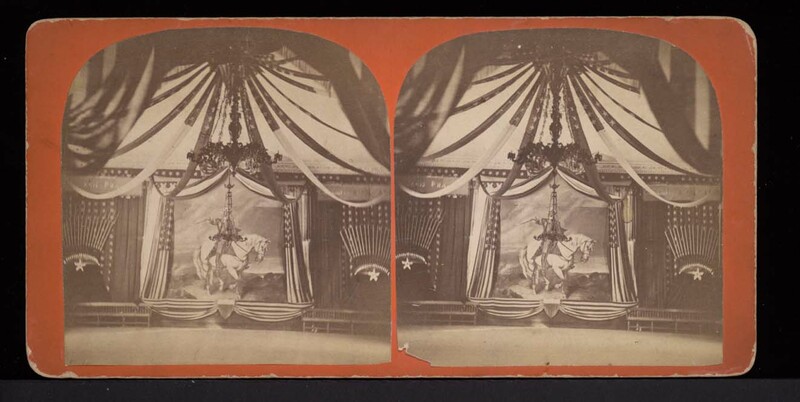 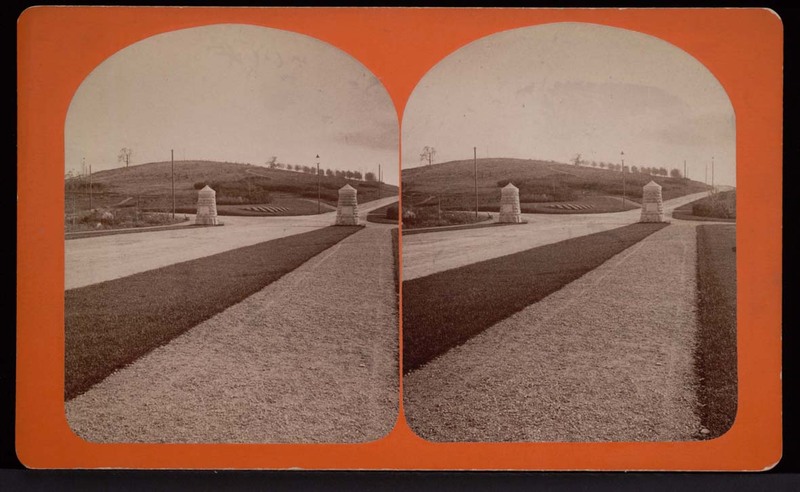 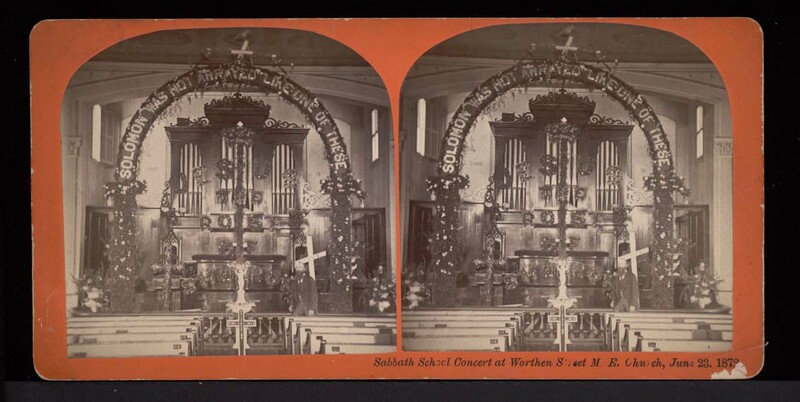 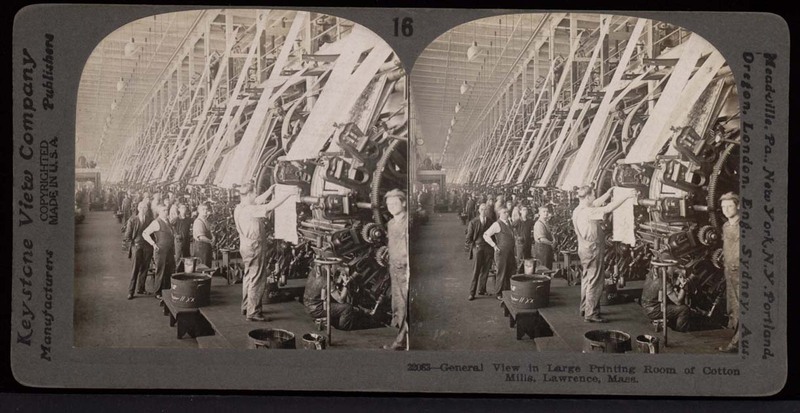 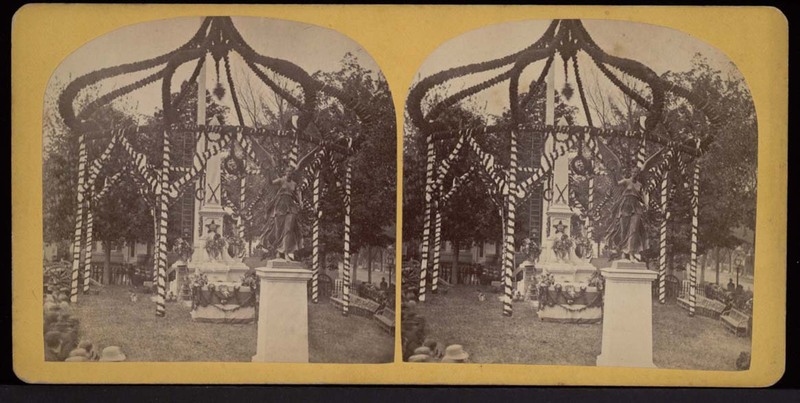 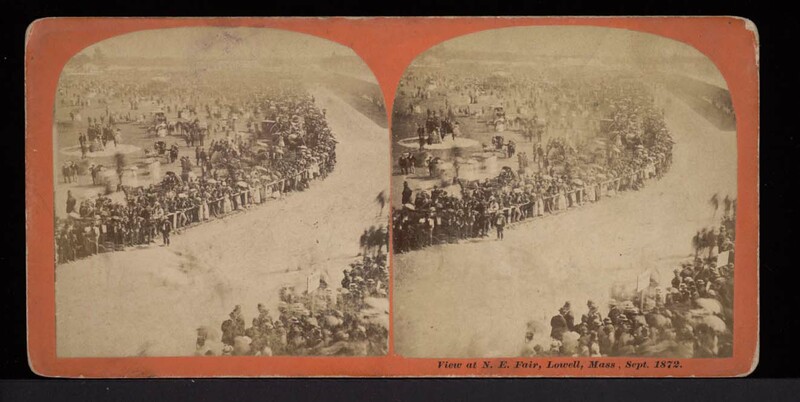 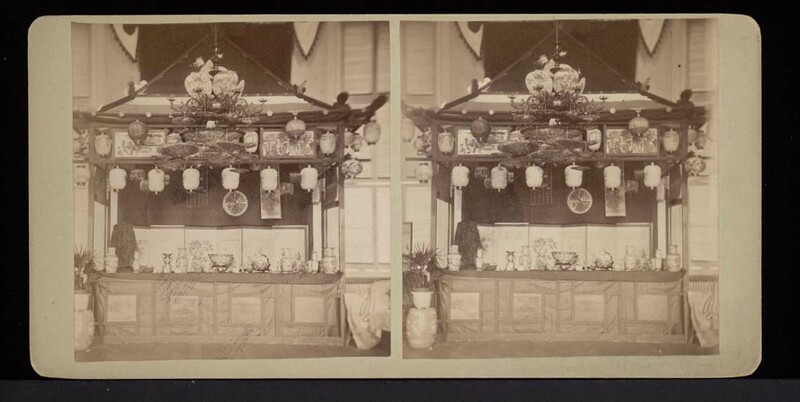 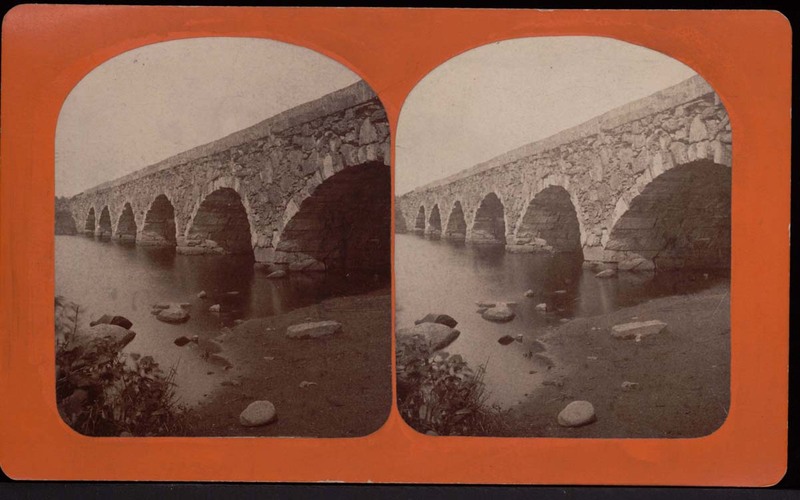 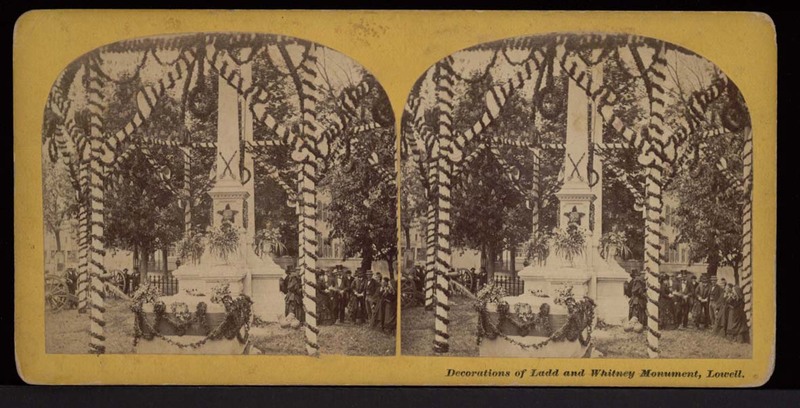 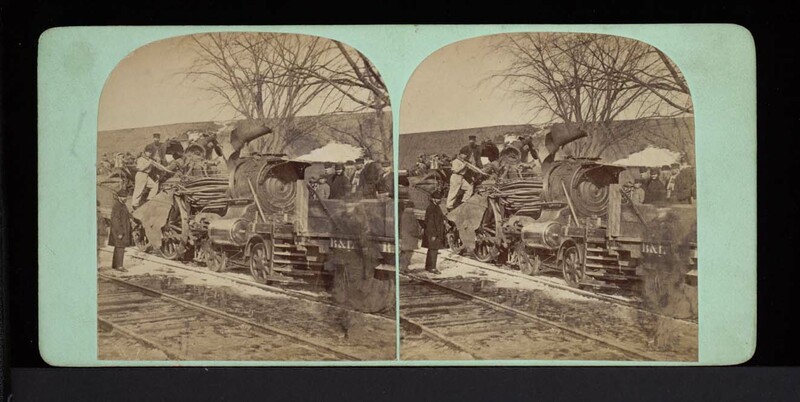 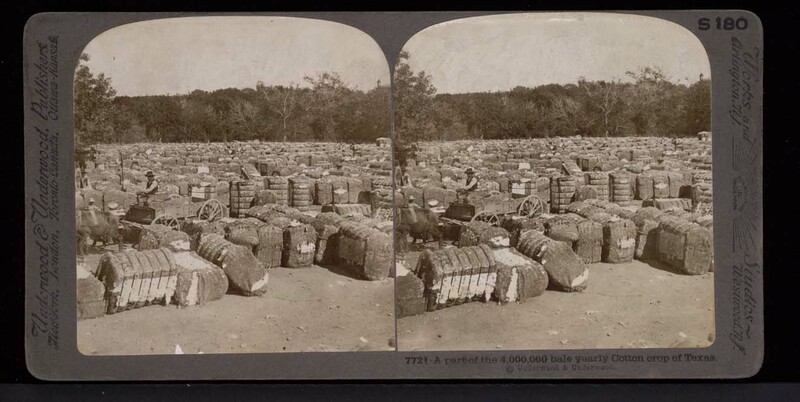 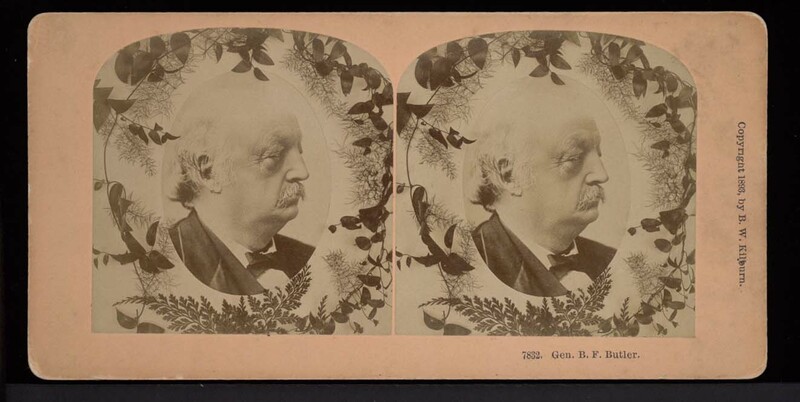 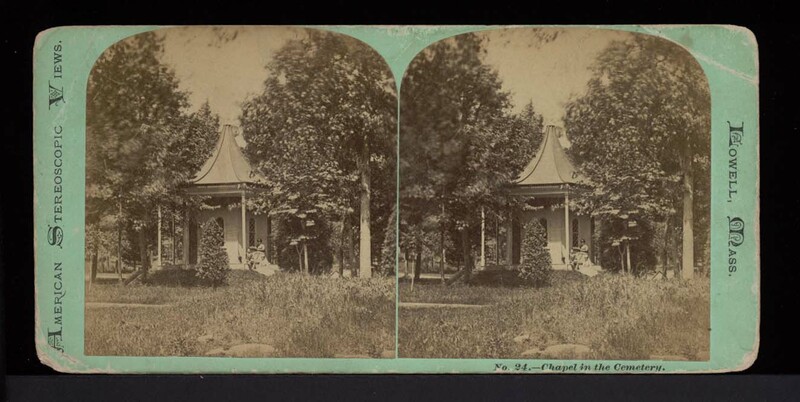 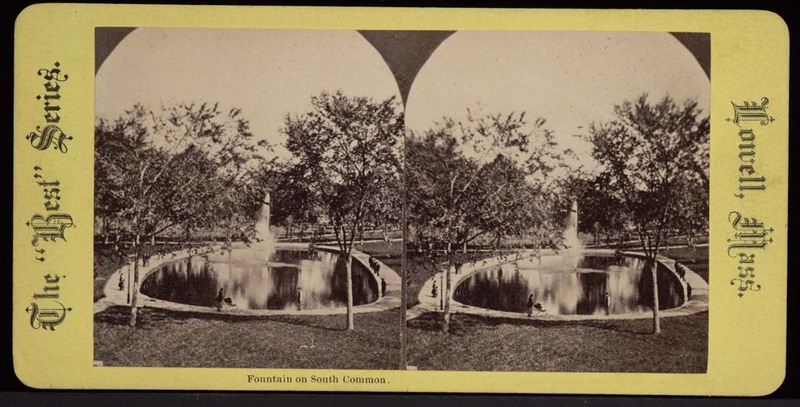 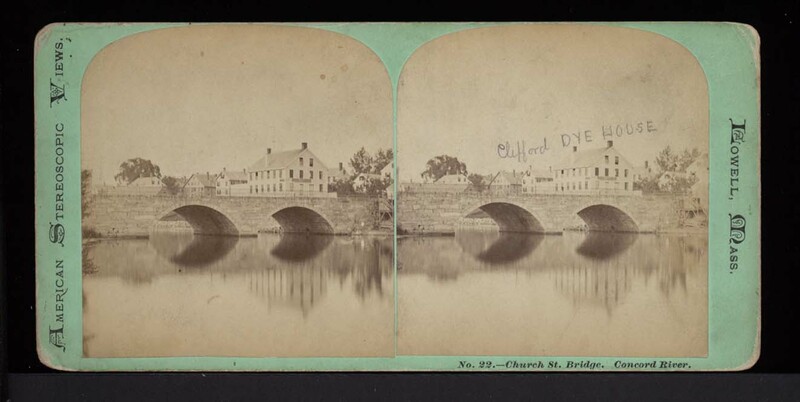 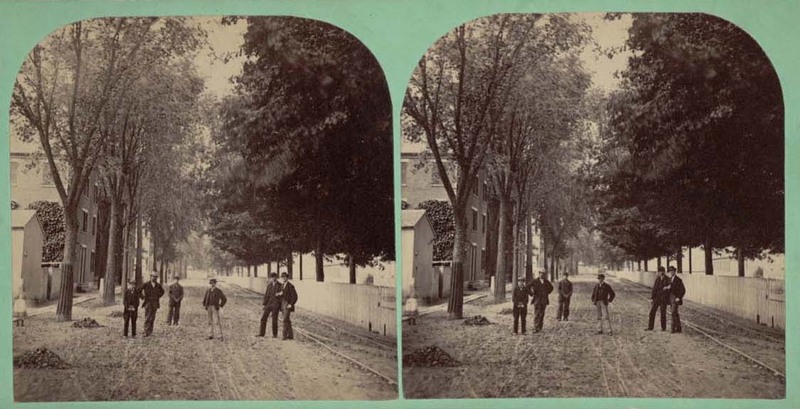 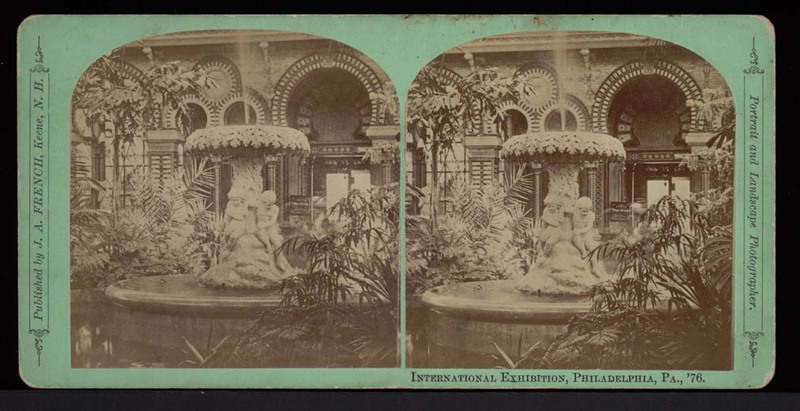 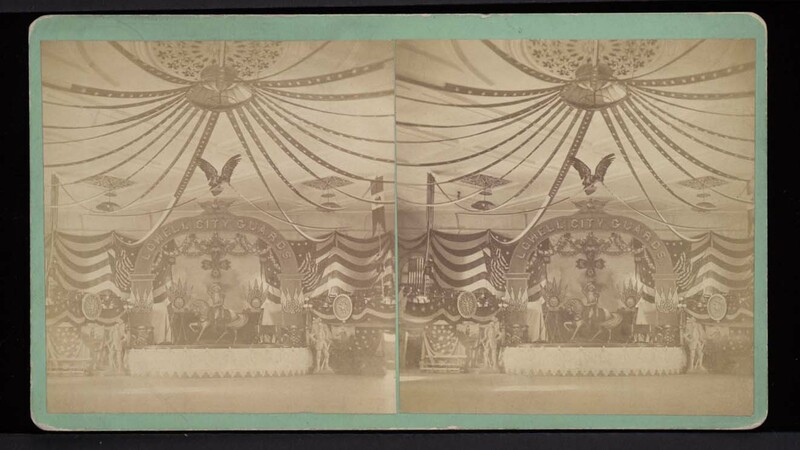 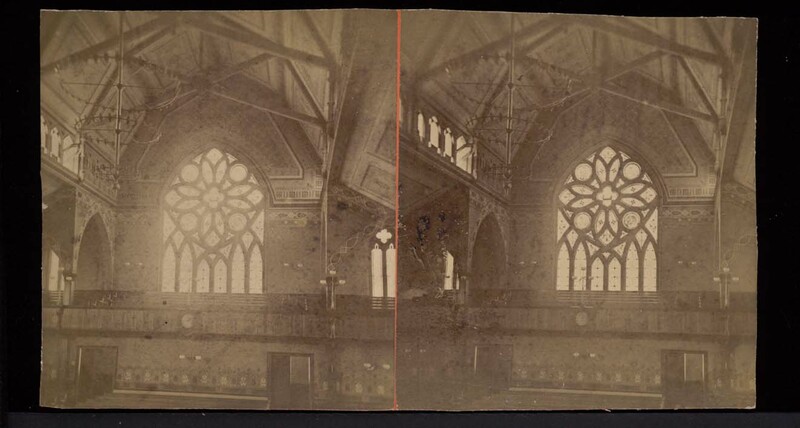 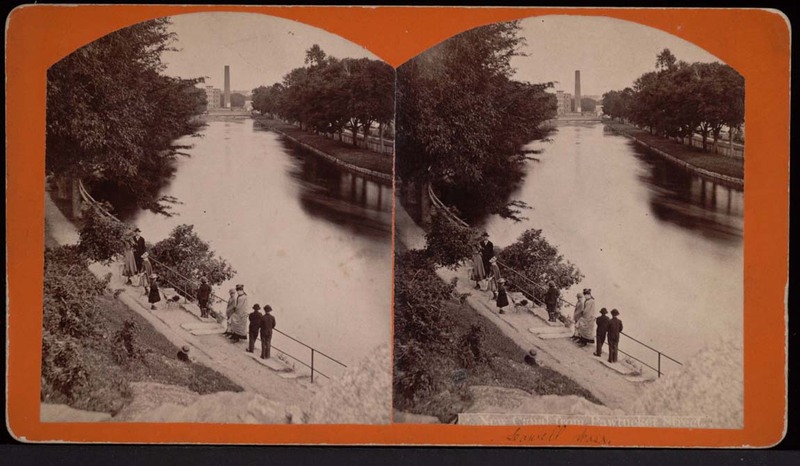 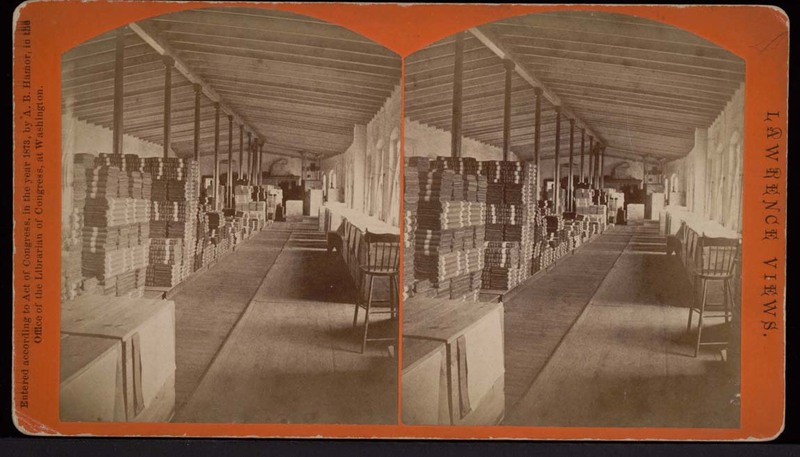 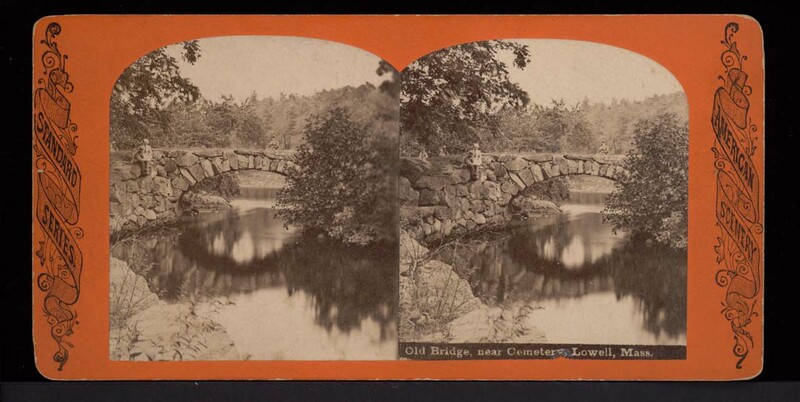 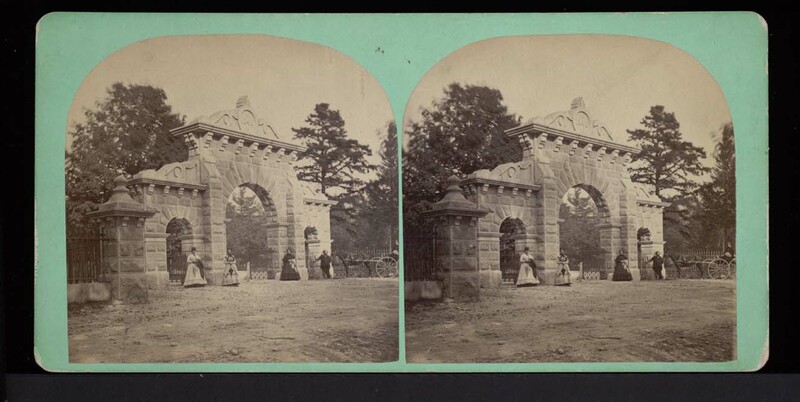 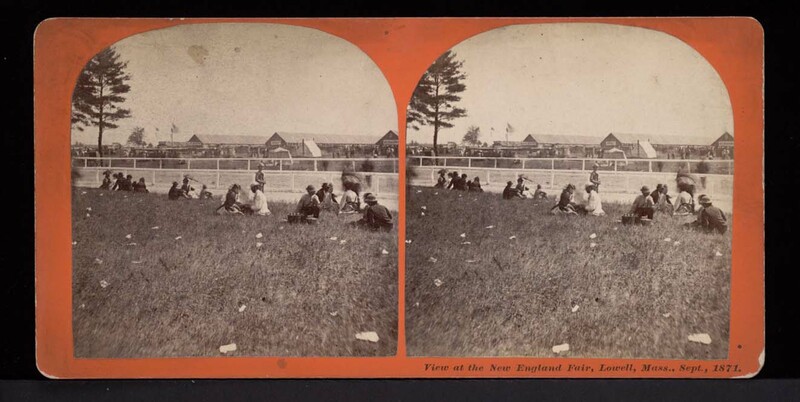 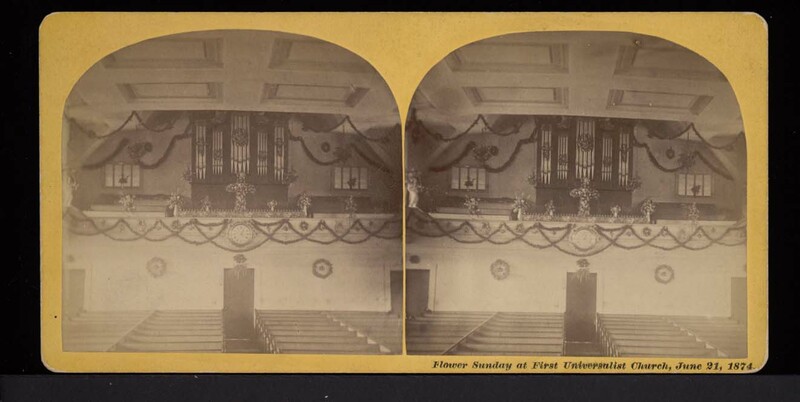 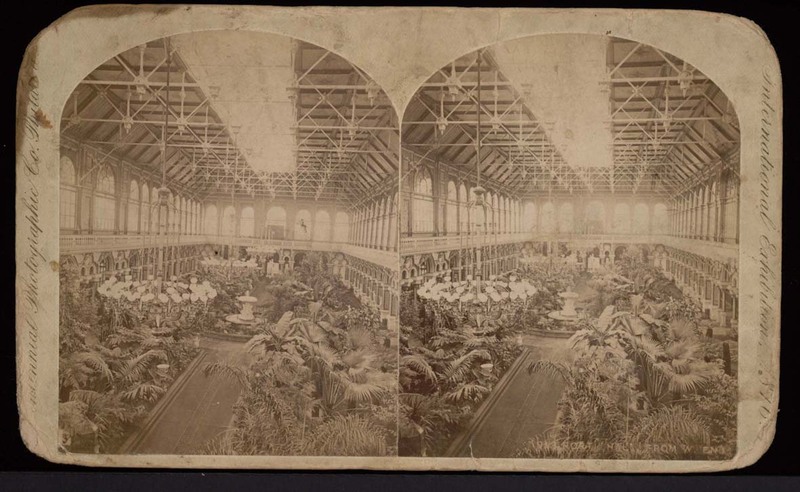 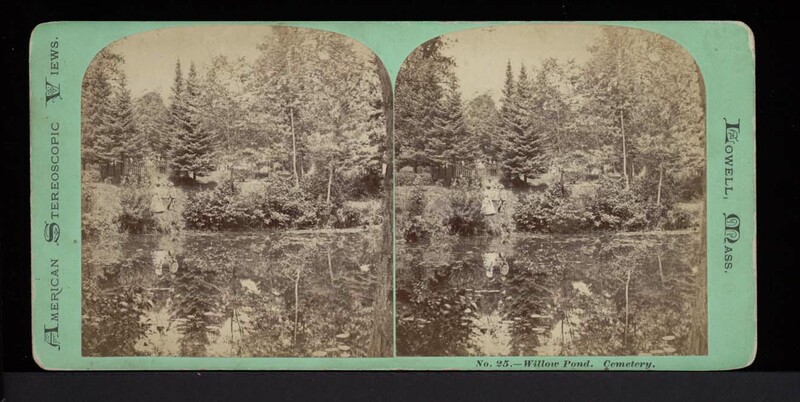 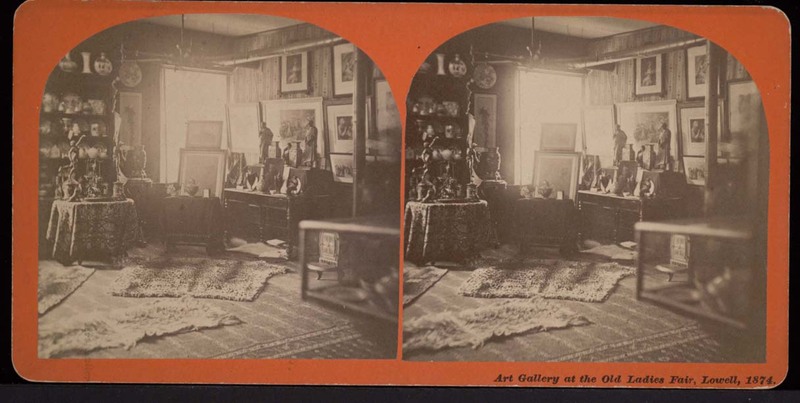 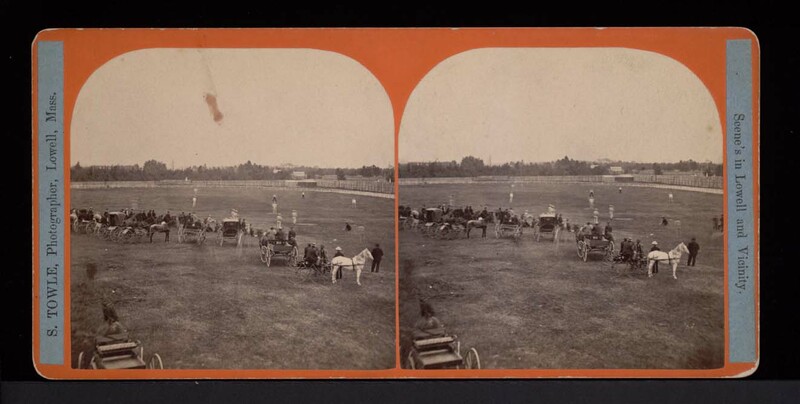 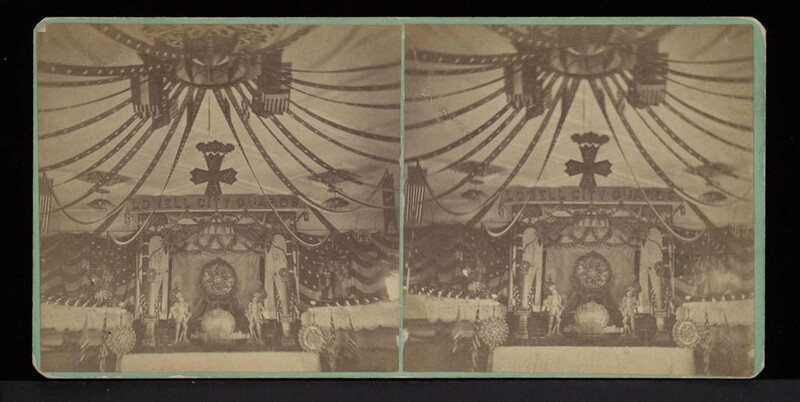 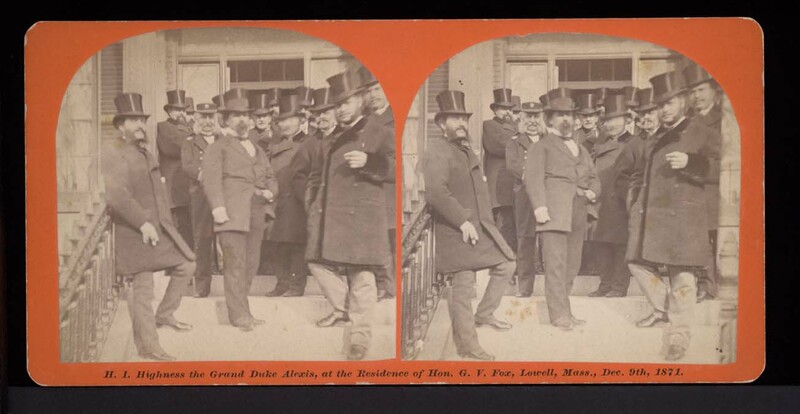 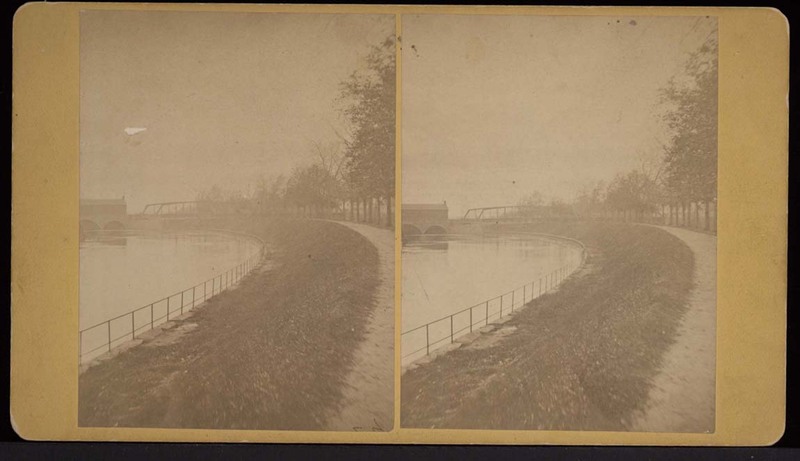 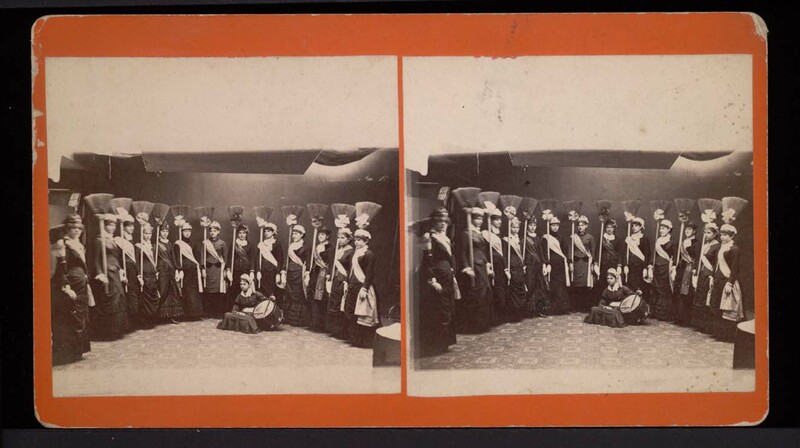 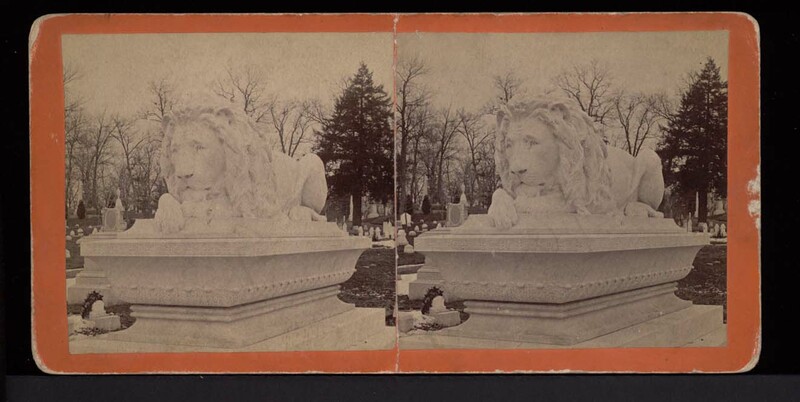 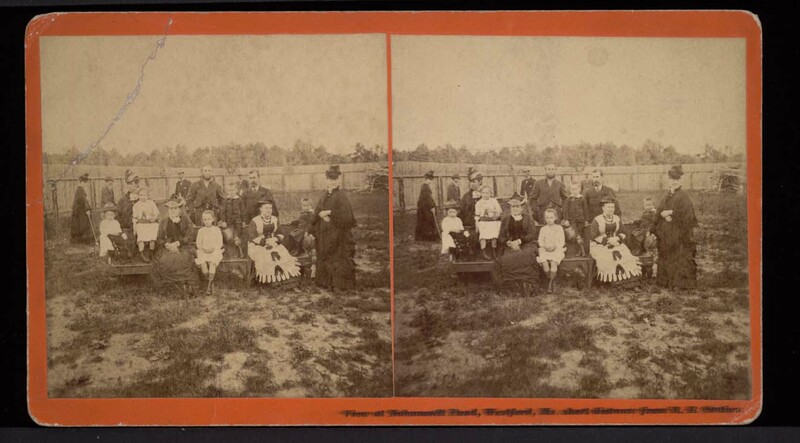 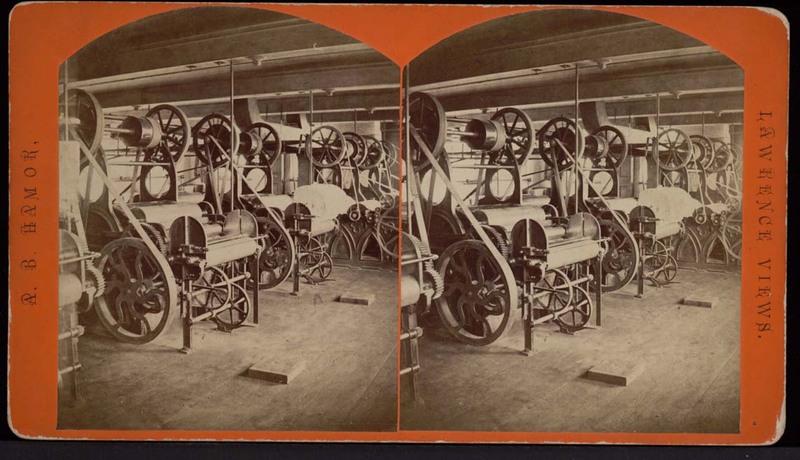 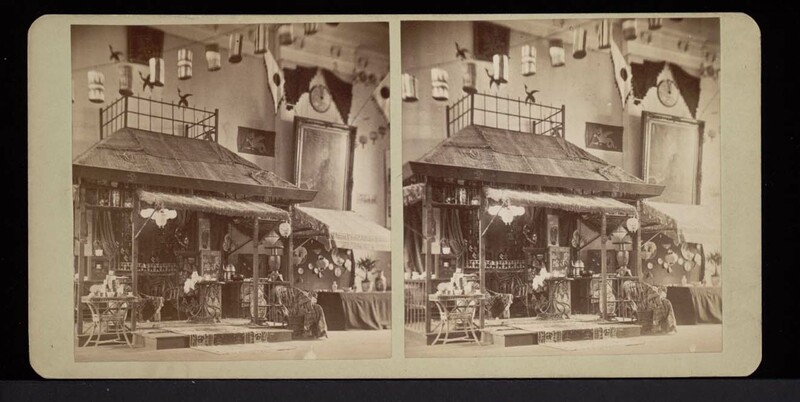 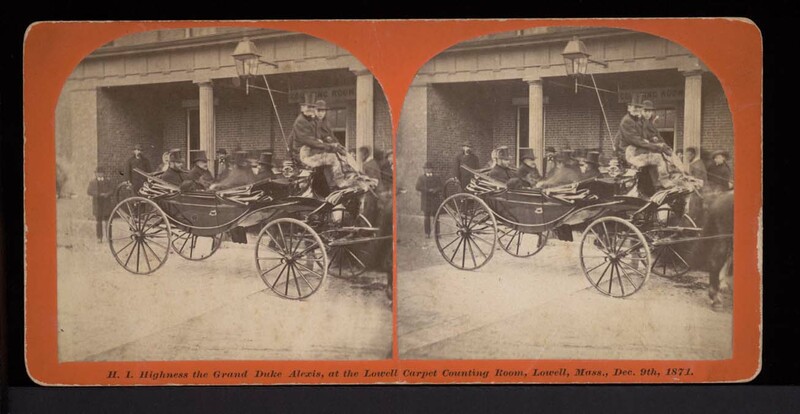 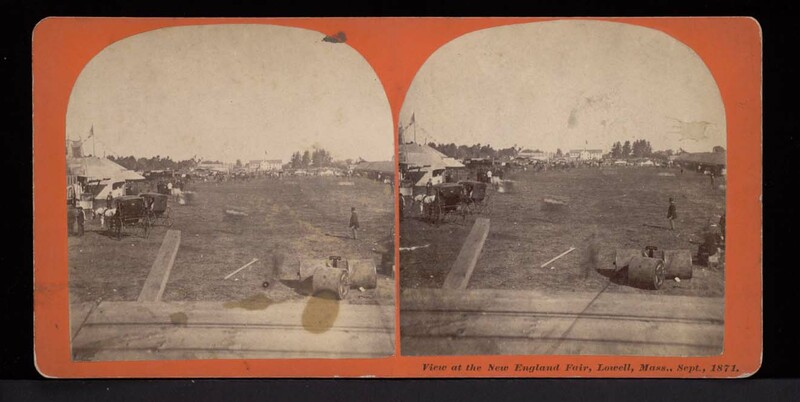 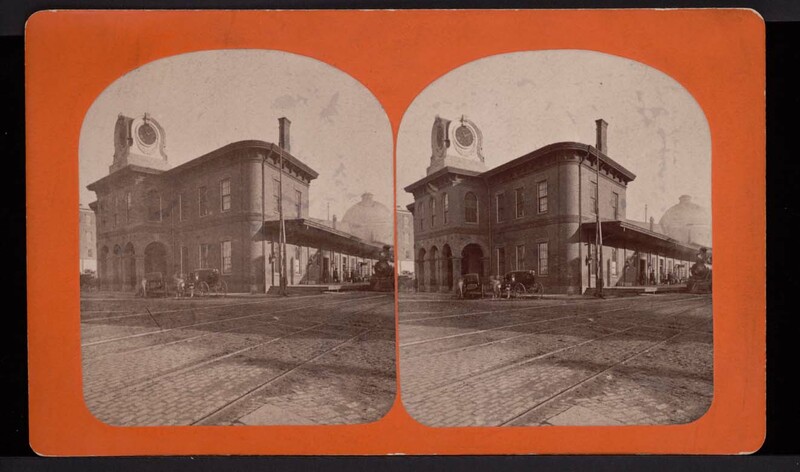 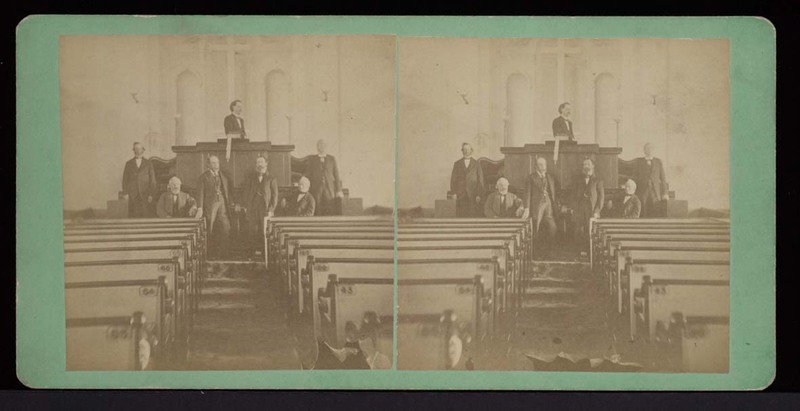 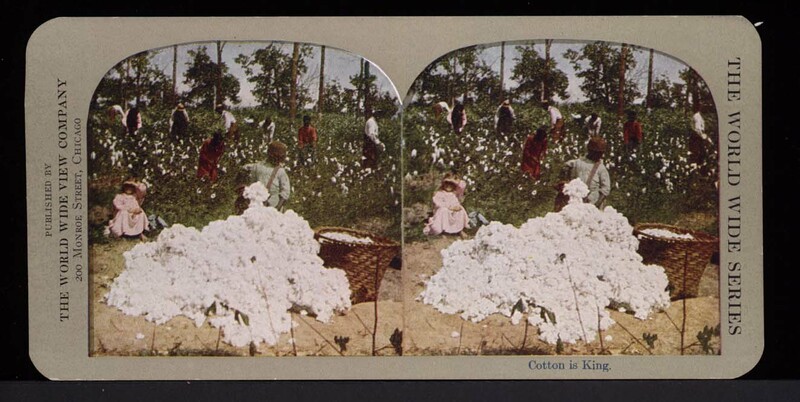 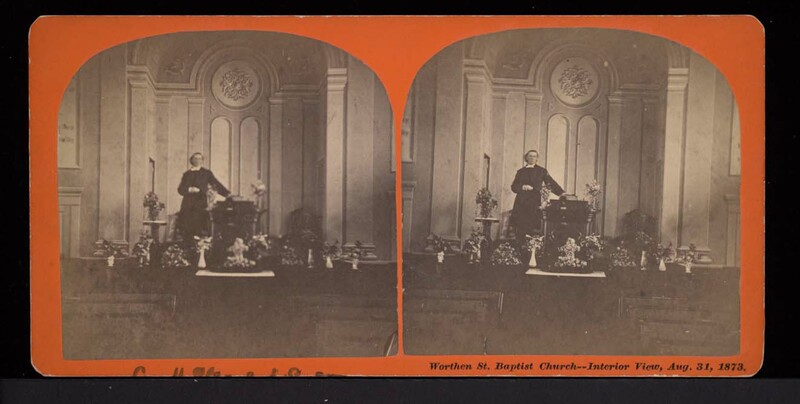 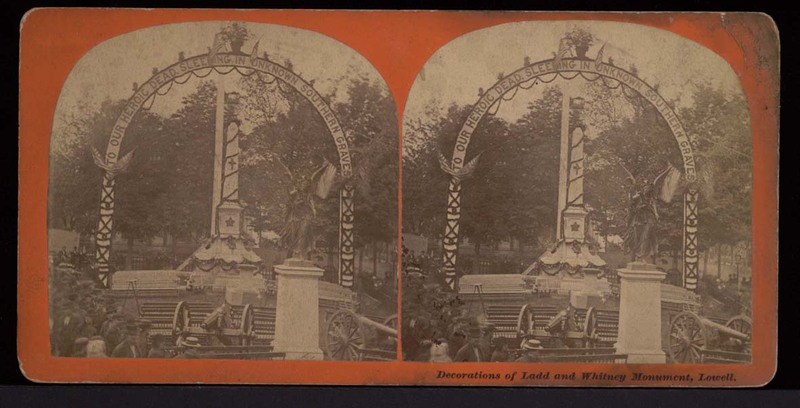 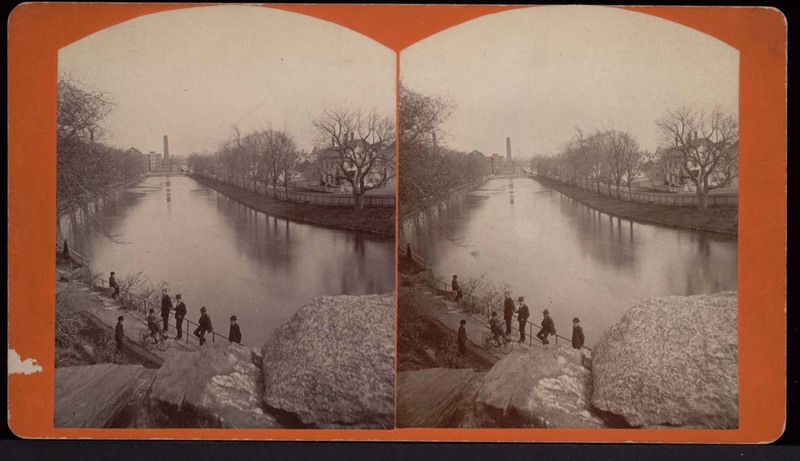 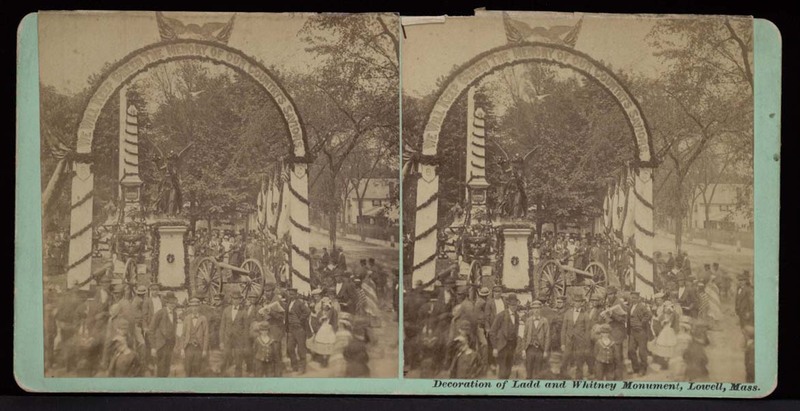 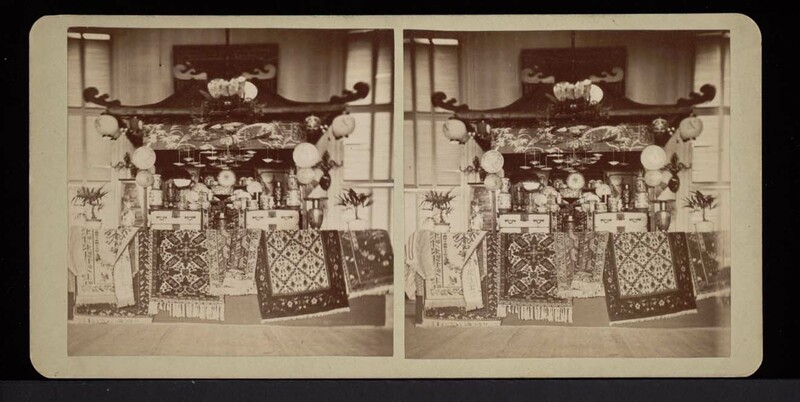 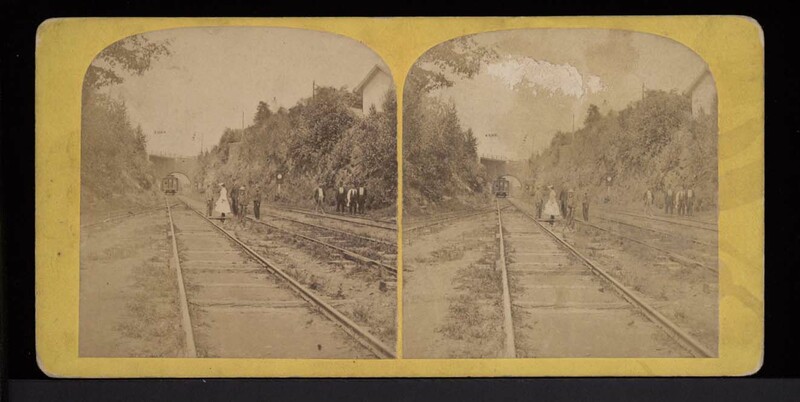 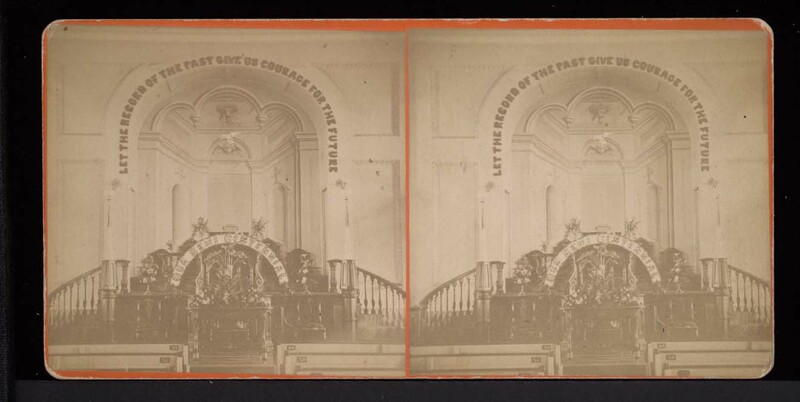 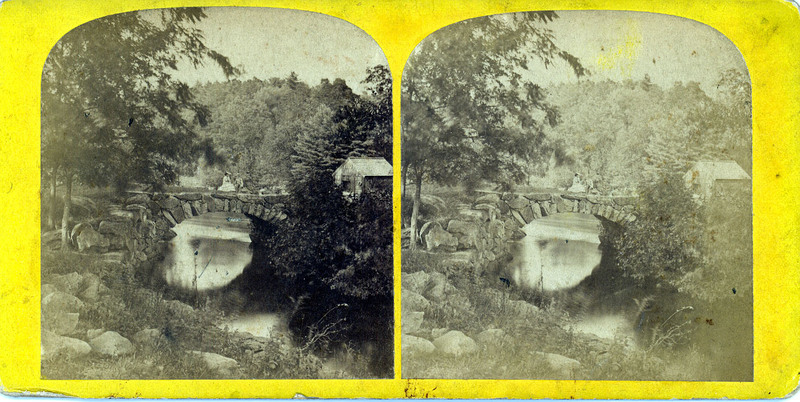 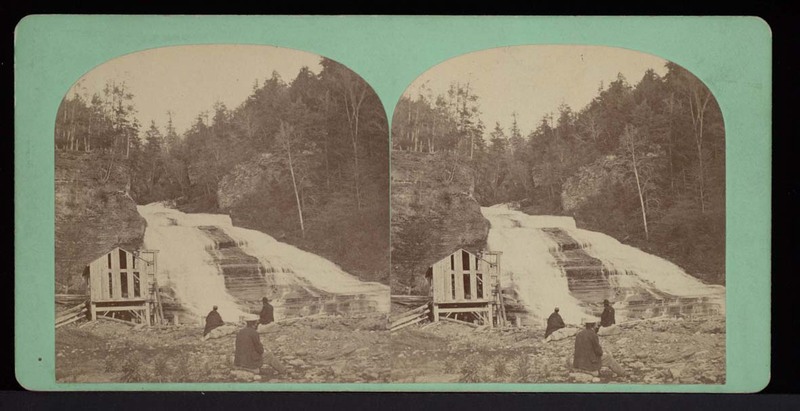 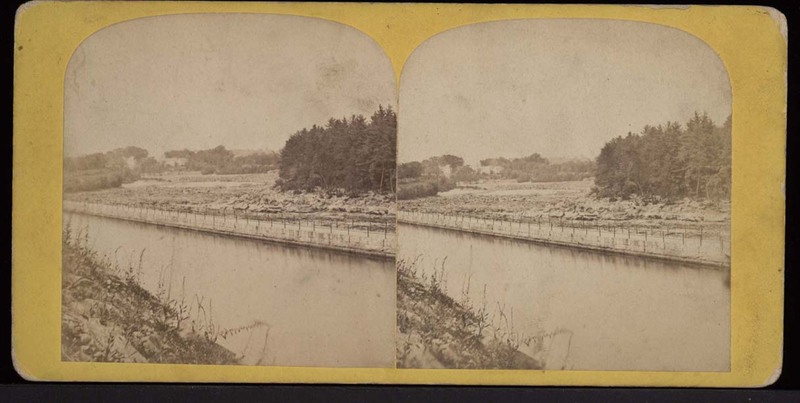 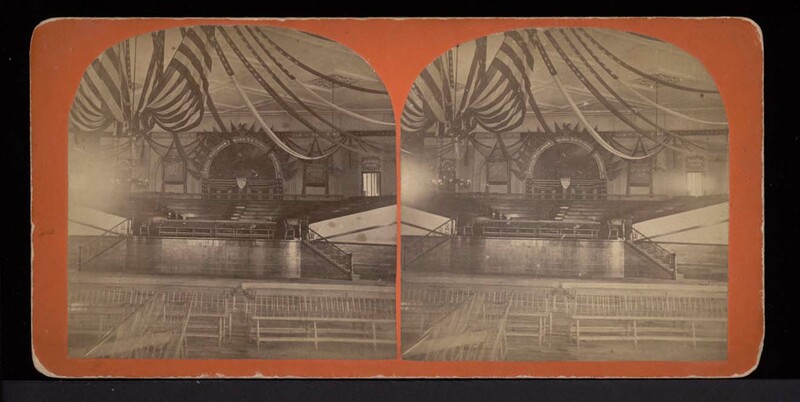 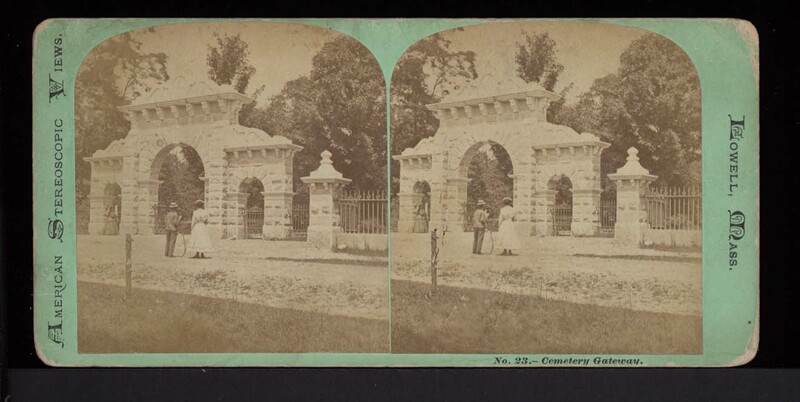 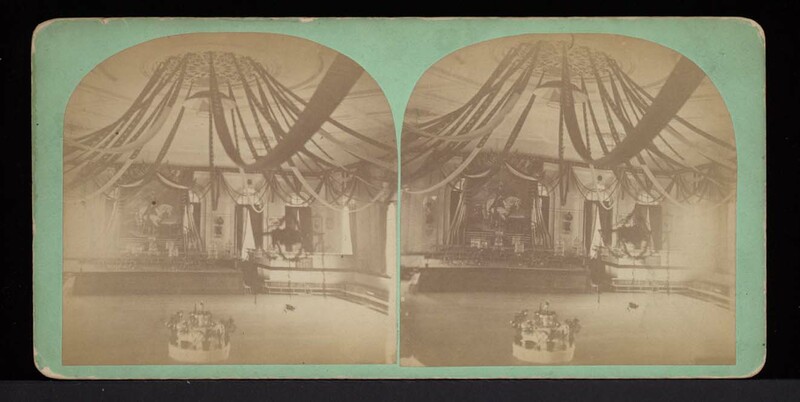 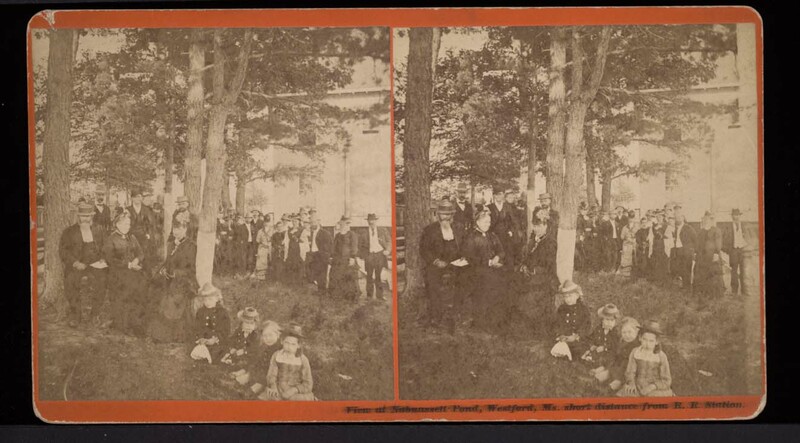 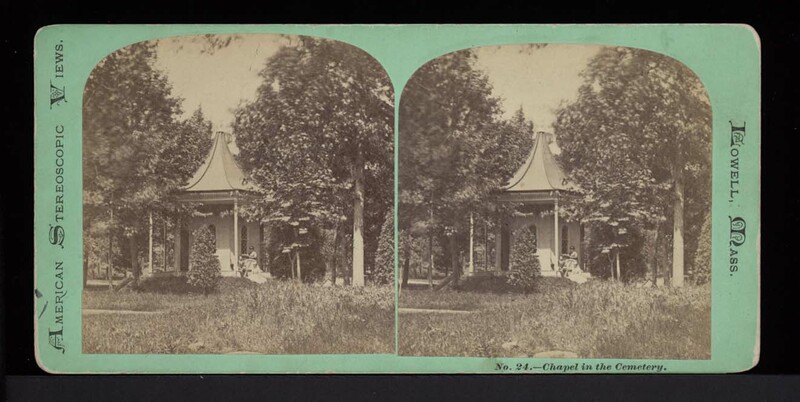 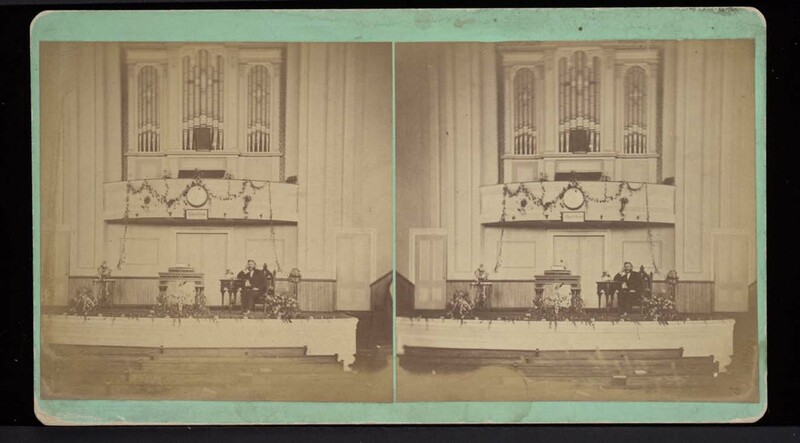 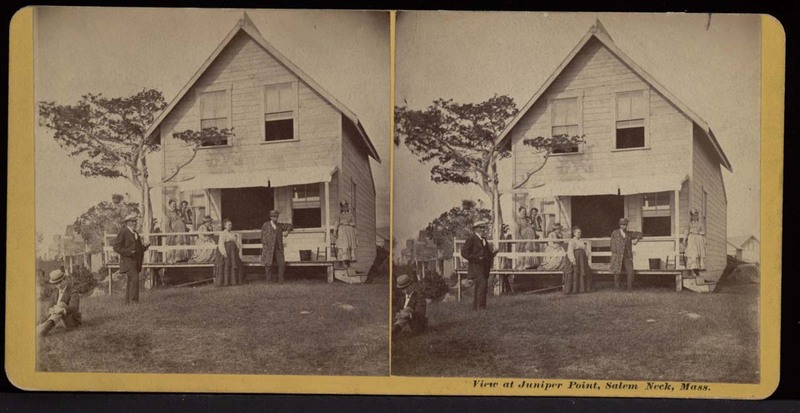 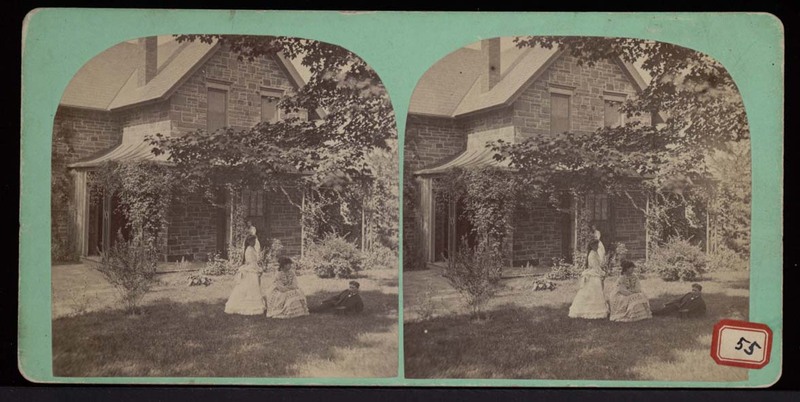 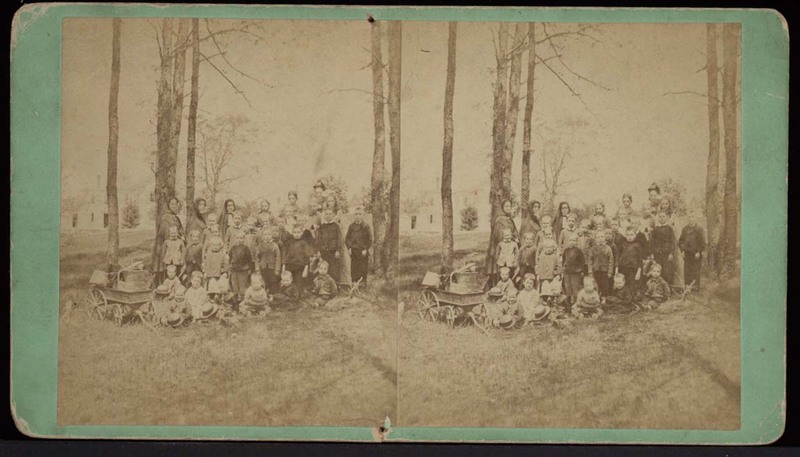 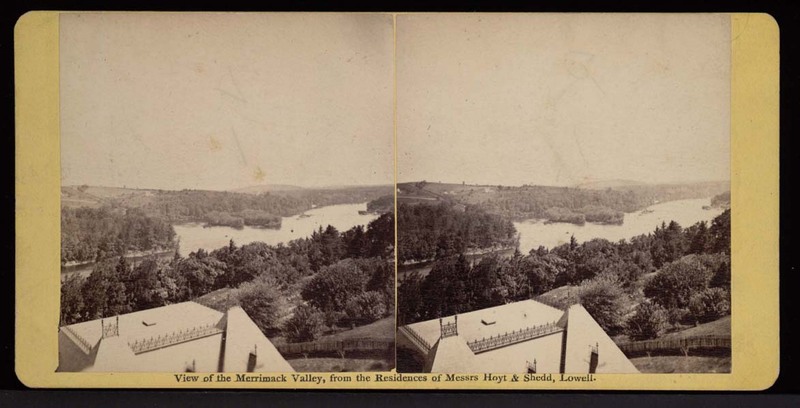 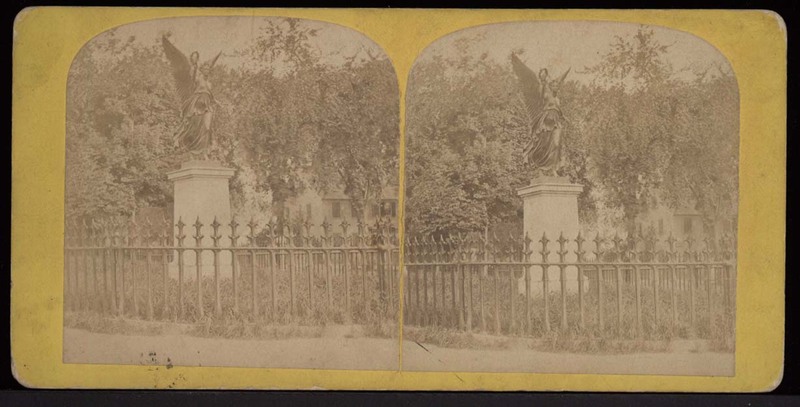 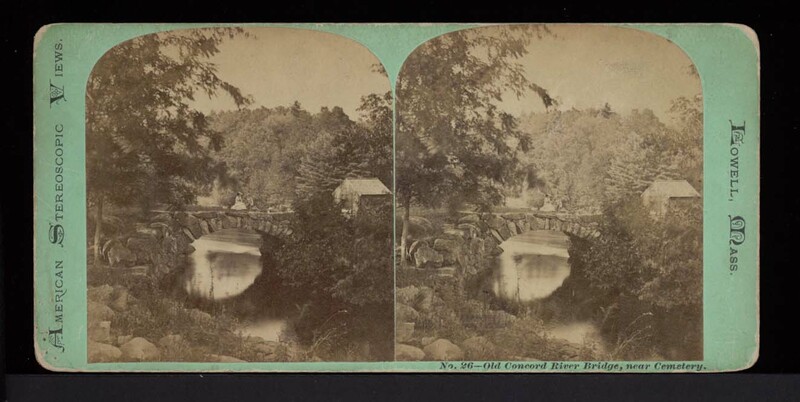 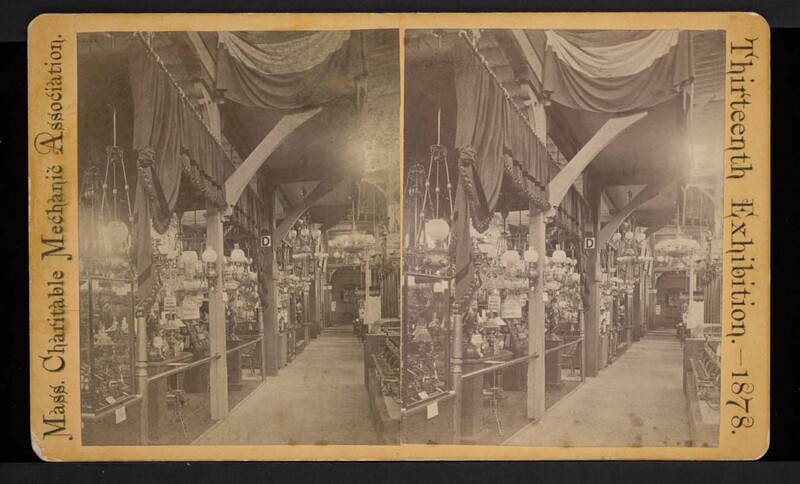 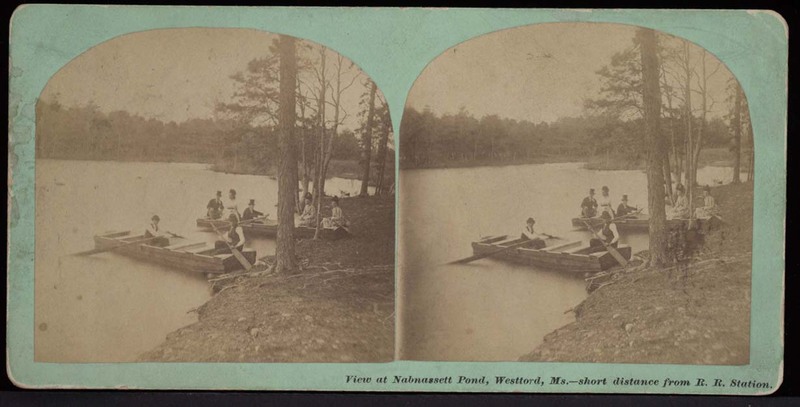 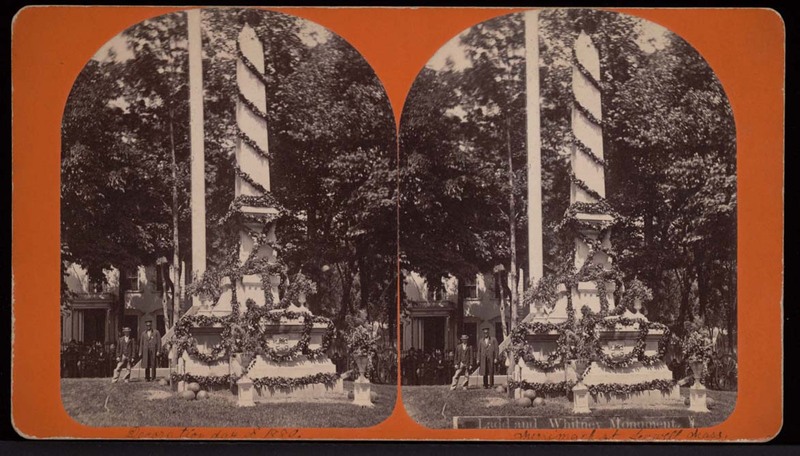 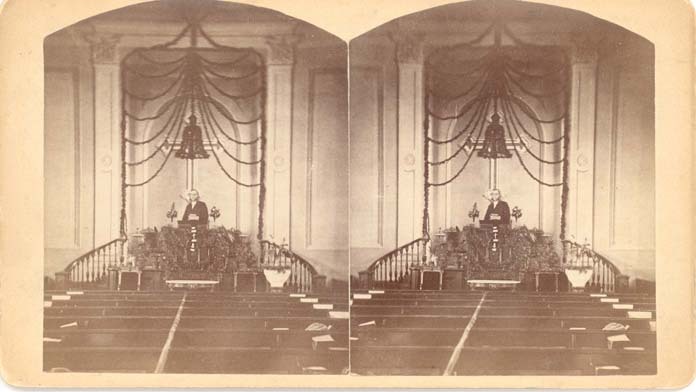 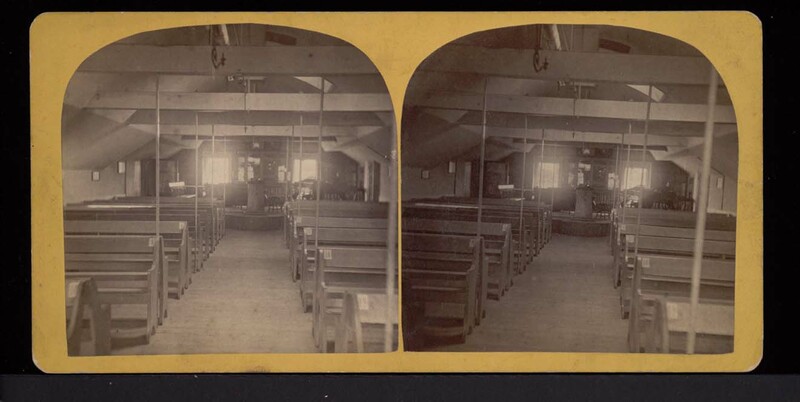 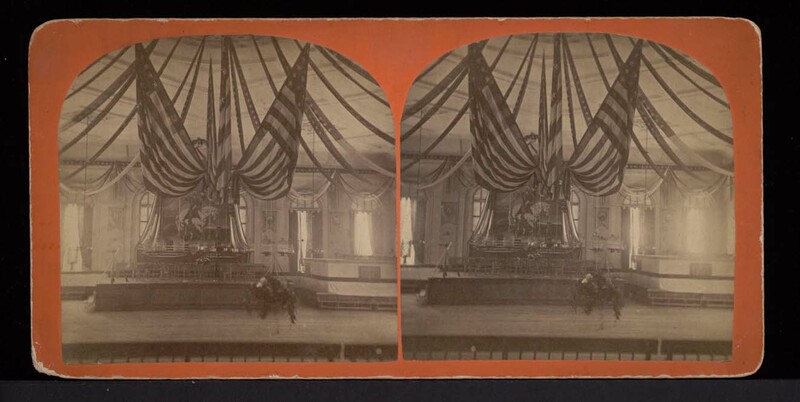 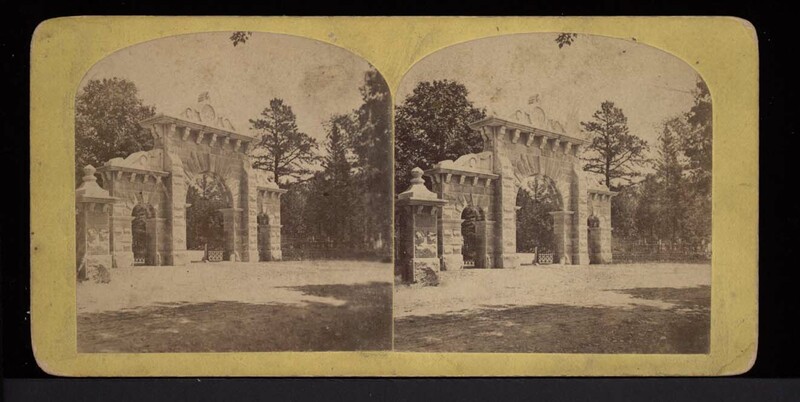 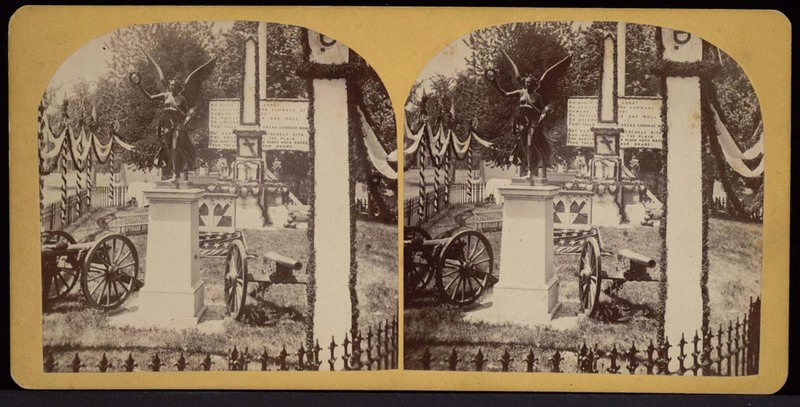 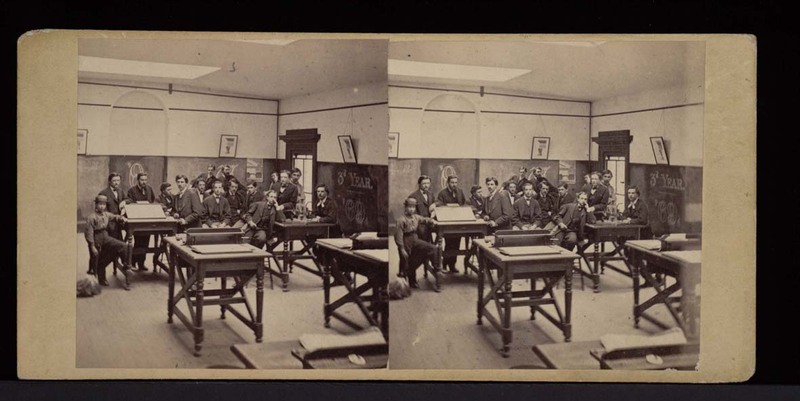 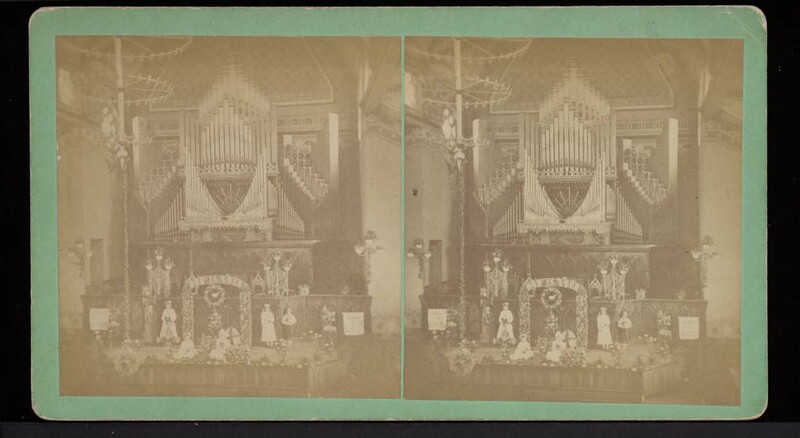 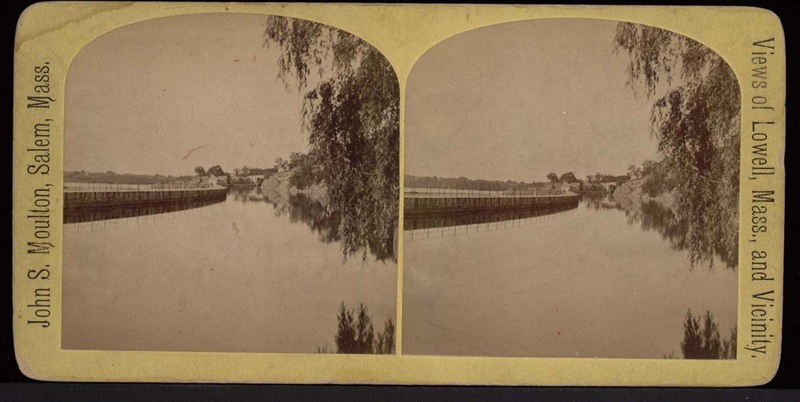 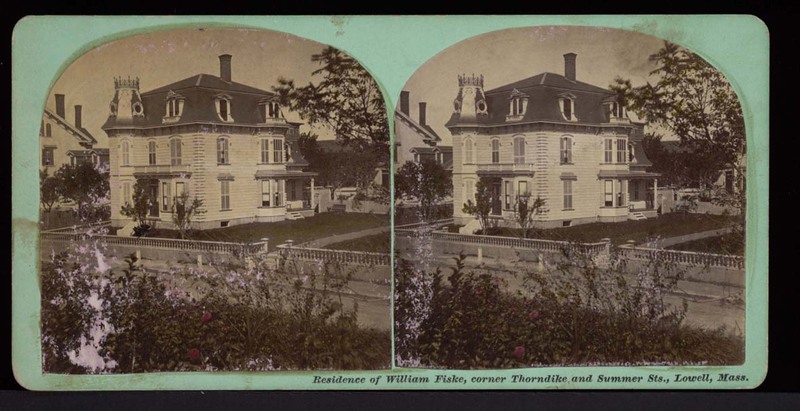 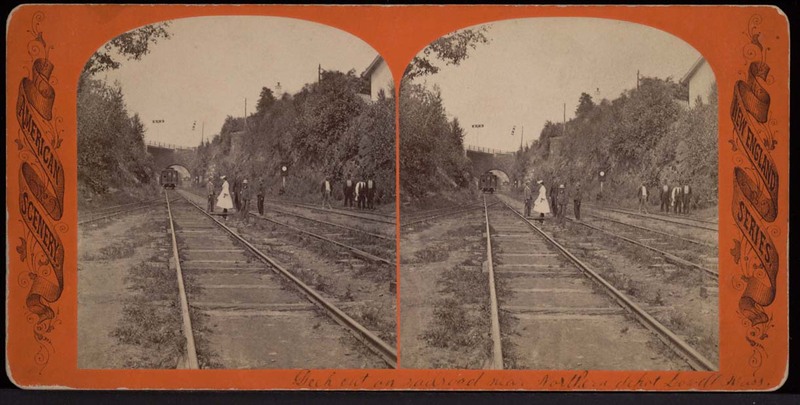 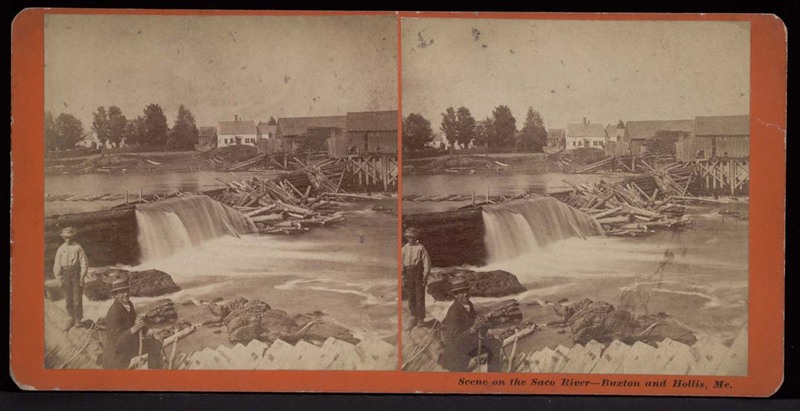 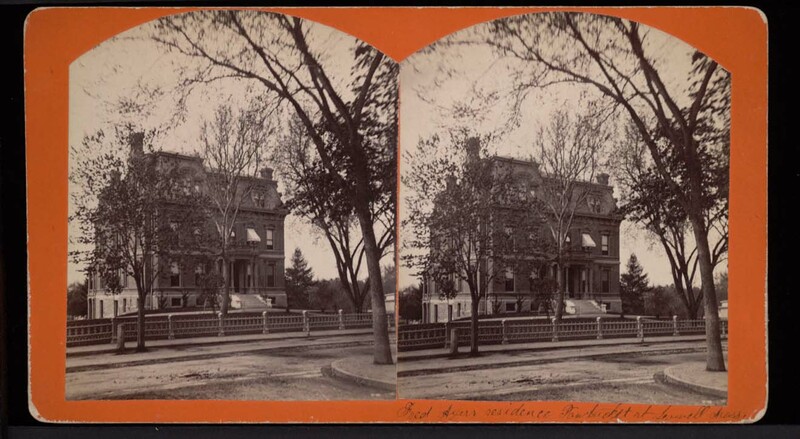 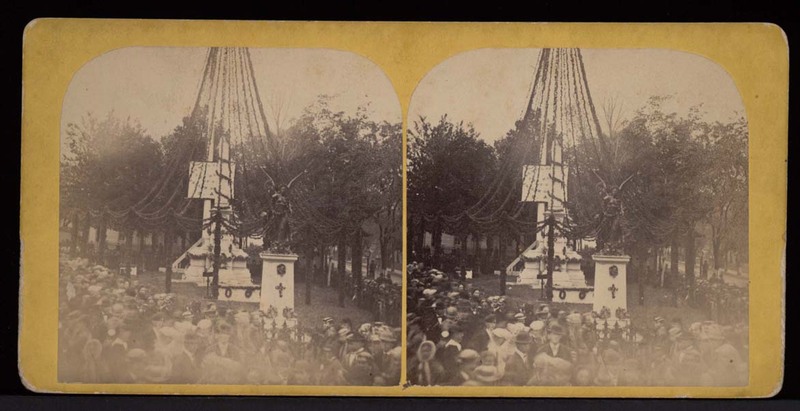 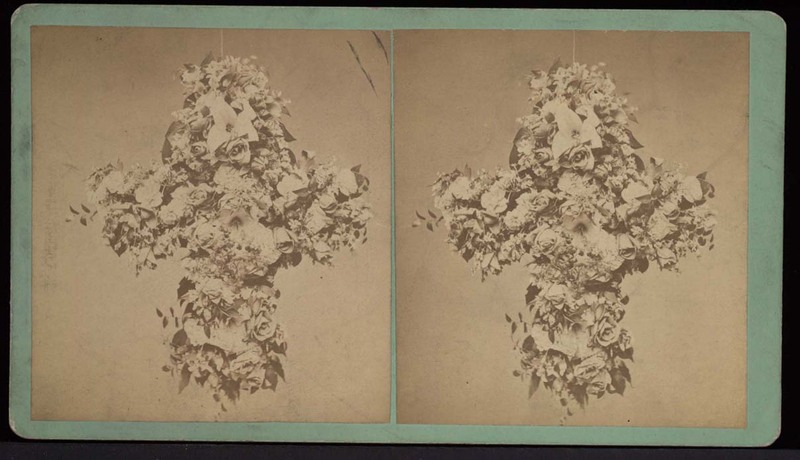 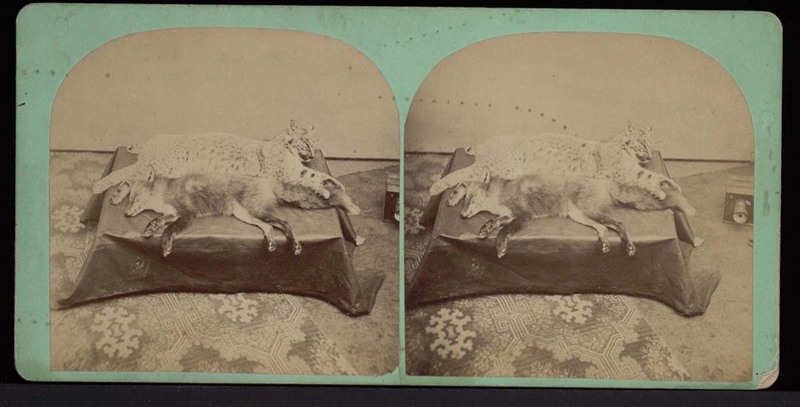 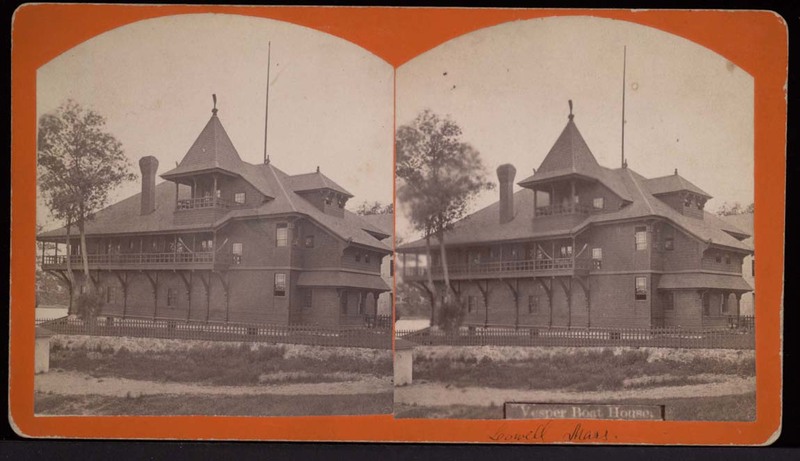 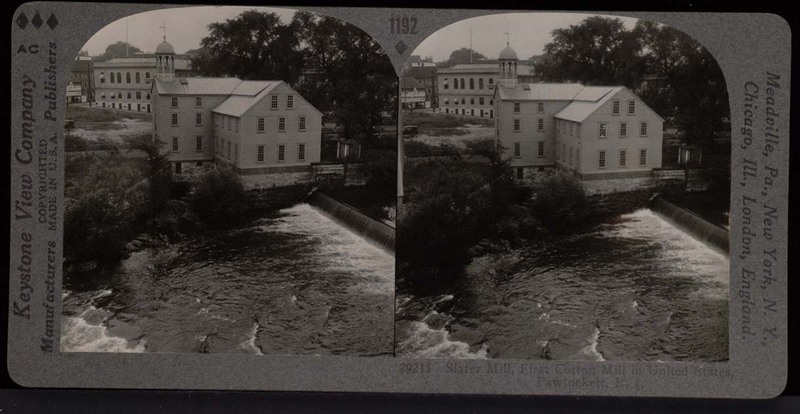 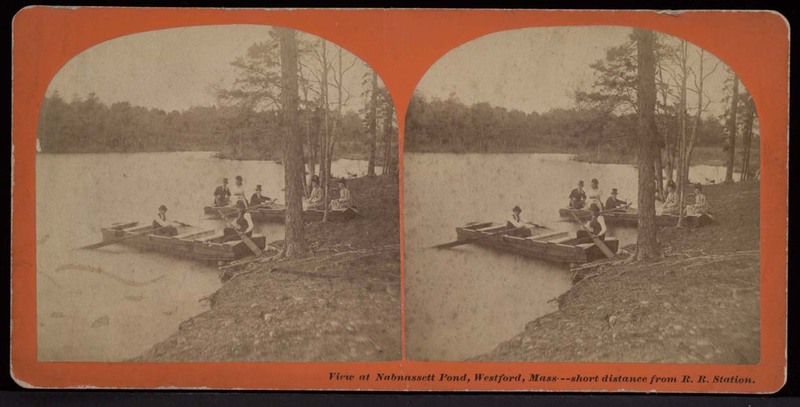 These Stereoviews show three-dimensional images of various places and topics, allowing armchair travelers to have a “you are there” experience. 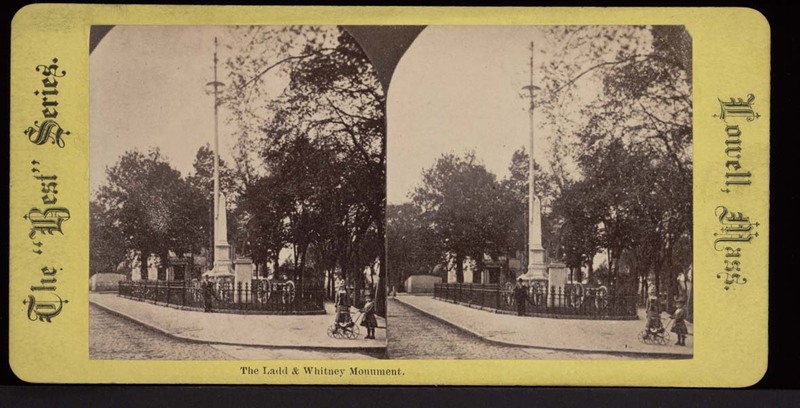 These sturdy cards feature two photographs or printed images positioned side by side about two and half inches apart, one for the left eye and one for the right. 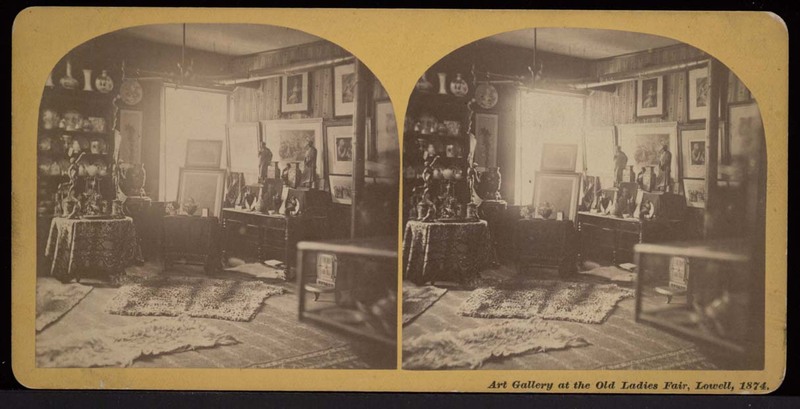 When one uses a stereoscope, a device for viewing stereoviews, these two flat images are combined into a single image that gives the illusion of depth.